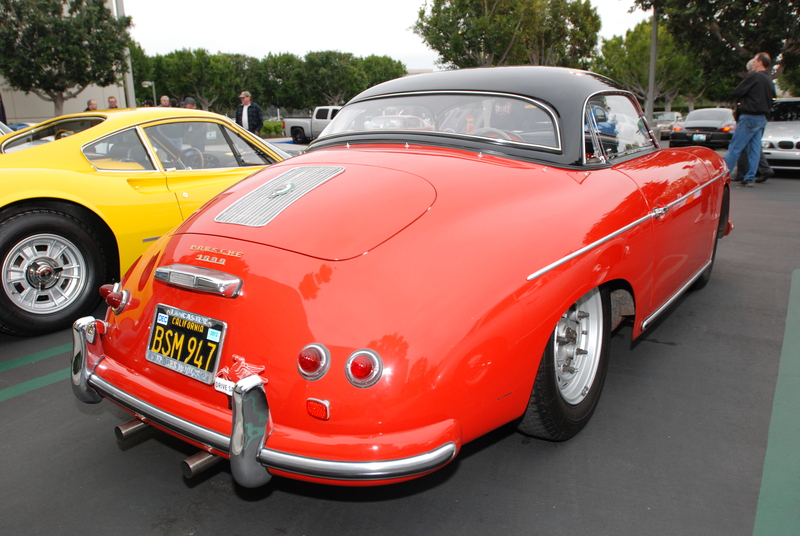 Saturday morning, April 21 dawned warm and hazy. 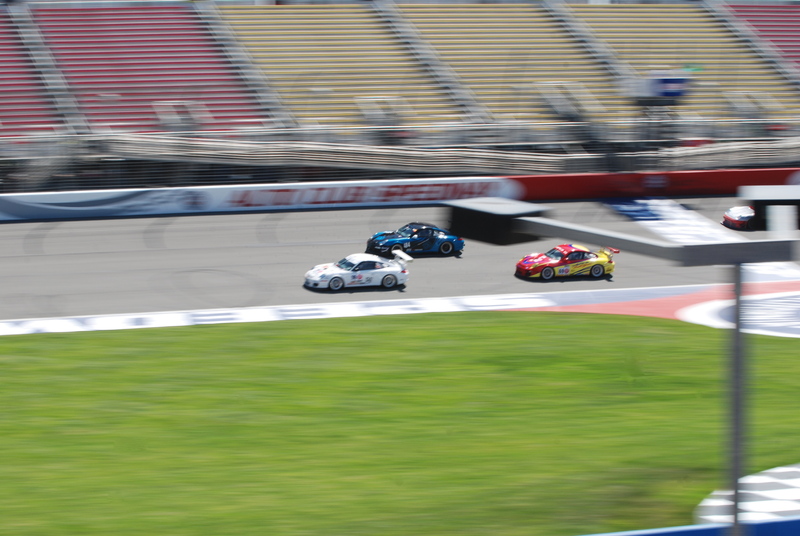 However, on this morning I would not be making my weekly trek down to Cars&Coffee/Irvine, but would instead be driving out to the Auto Club Speedway in Fontana, California to catch day two of the scheduled three-day “Festival of Speed” event. 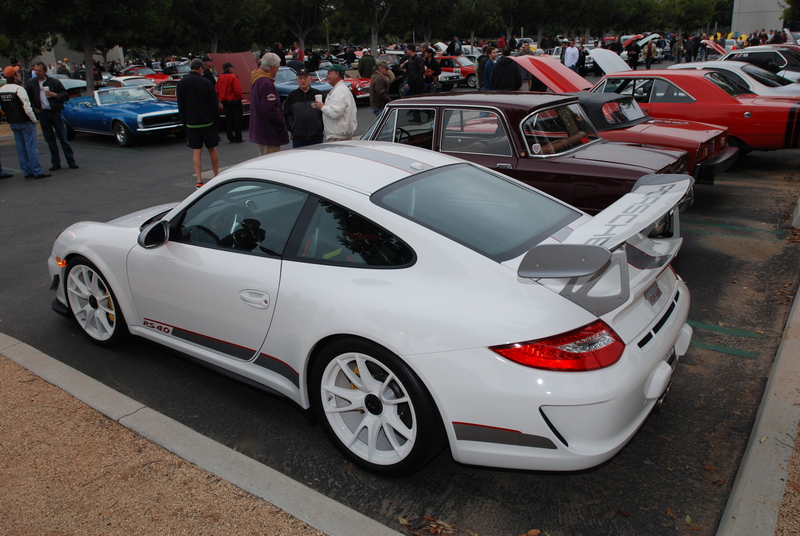 The weekend was marketed as an “Event for Porsche enthusiasts”, however there were other makes and models of street and race cars also present. 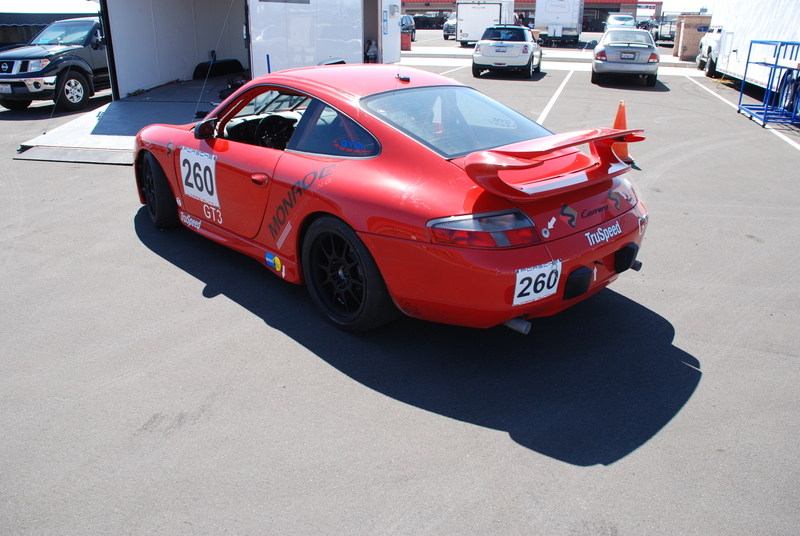 After arriving at the race track, my first stop was at the registration building. 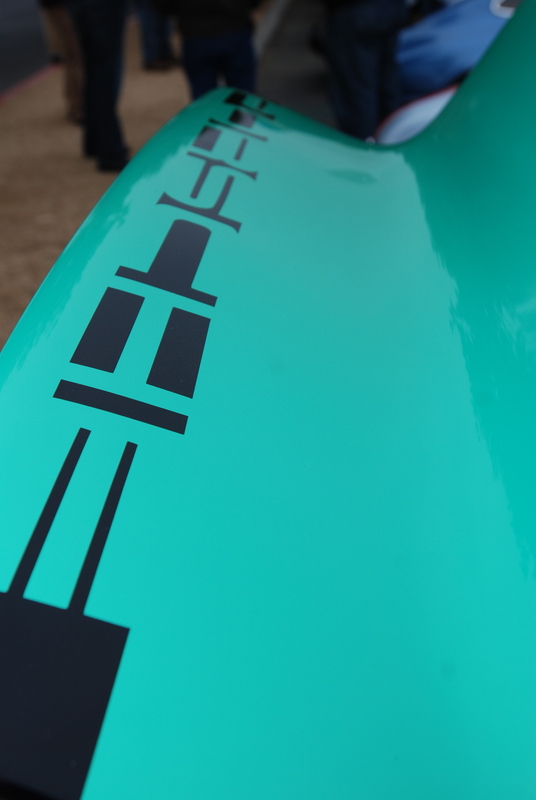 After signing the required liability waiver, I was issued a black & white checkerboard wristband (secured onto the left wrist of every participant by the registration staff), and given my parking pass. 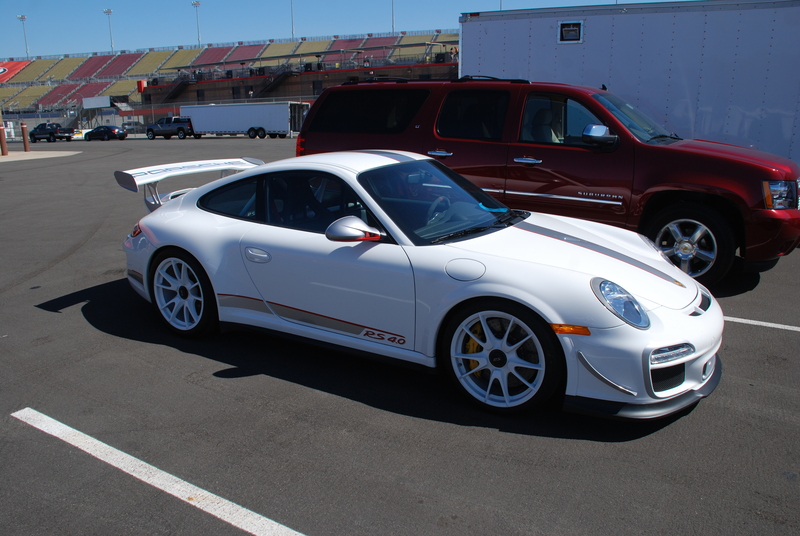 Now it was time to drive over to the infield parking area that had been designated for the weekends festivities. 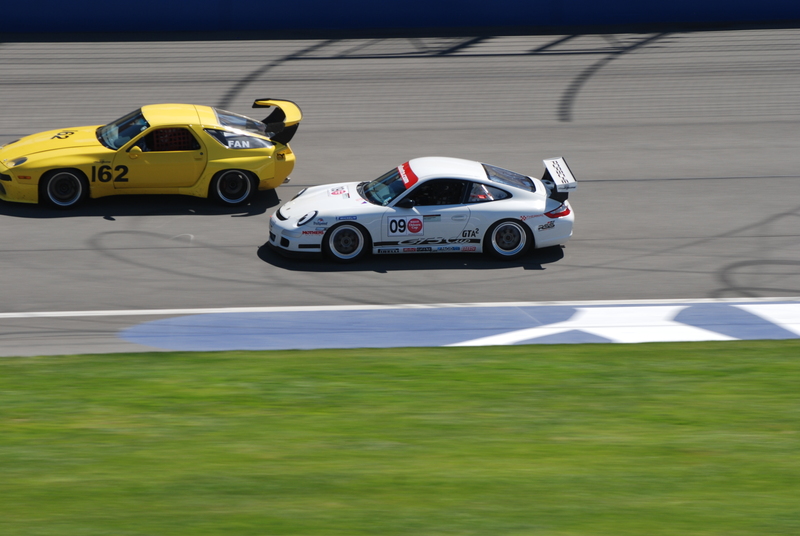 By now, the sun had begun to burn off the mornings haze, and was starting to bring some heat to Fontana. 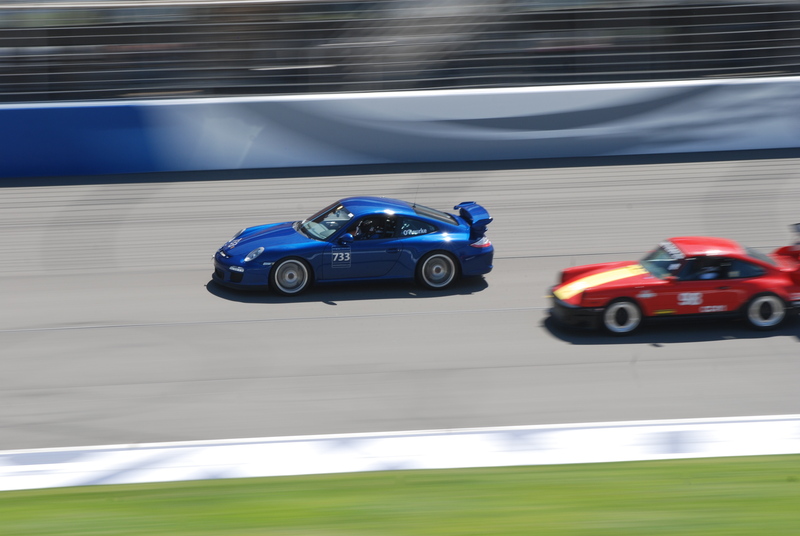 Exiting my car, I could hear the unmistakable sound of Porsche race cars with their distinctive exhaust notes echoing off of the grandstands, as they screamed past the start/finish line, beginning another lap. 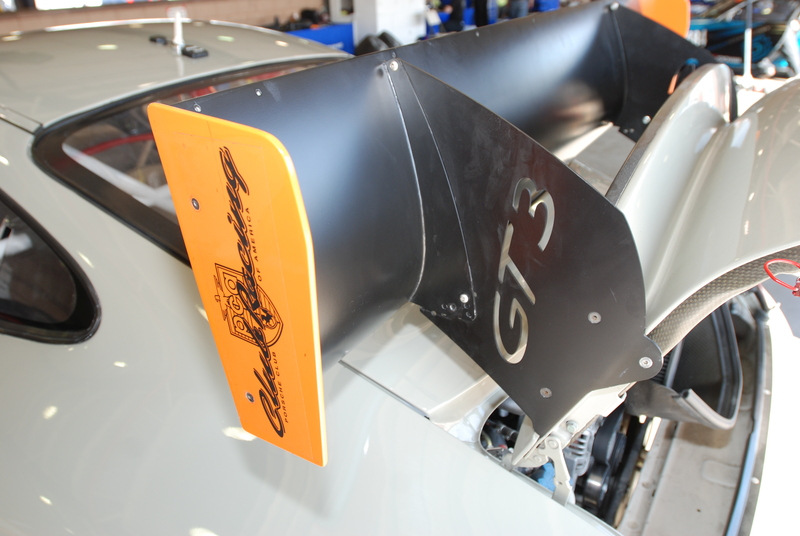 As I made my way past the entry portal that divides the parking lot from the infield garage area, I noticed a cast bronze plaque mounted onto the vertical support column and went over for a closer look. 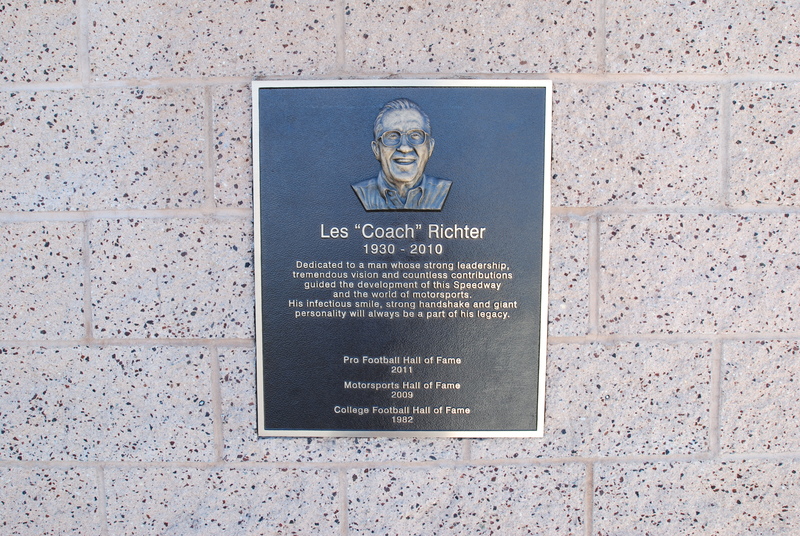 It turned out to be a dedication plaque honoring Les Richter, for his contribution to the construction and completion of this racing facility. 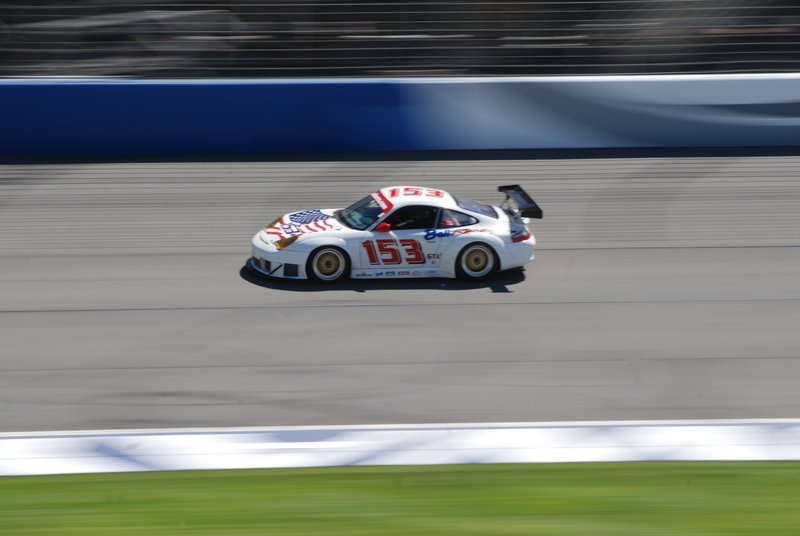 It also acknowledged his involvement in professional sports with inductions into both the College Football Hall of Fame and the Pro Football Hall of Fame, as well as the Motorsports Hall of Fame. 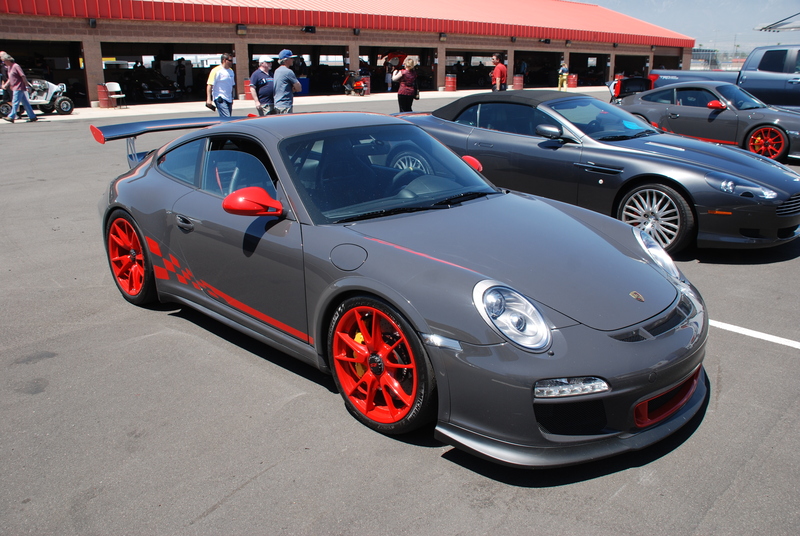 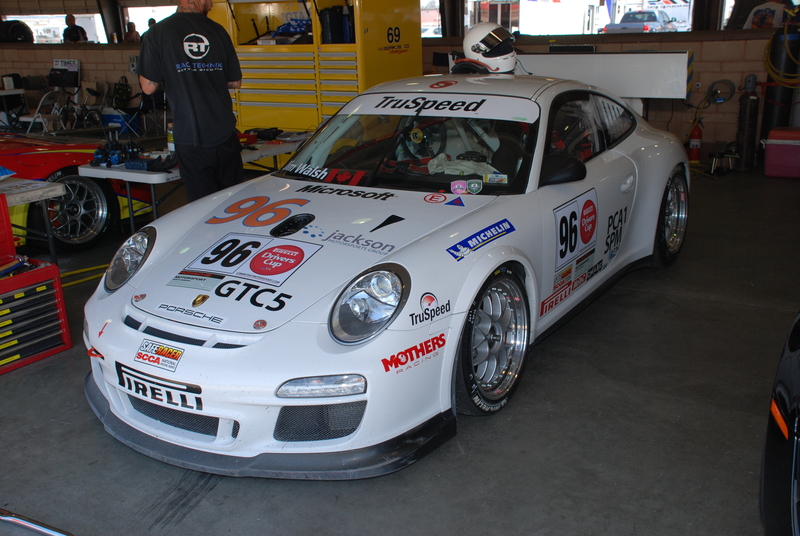 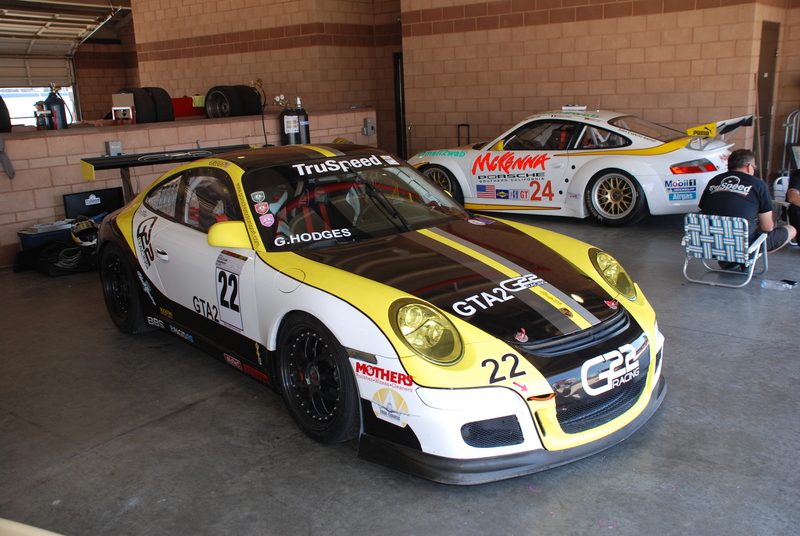 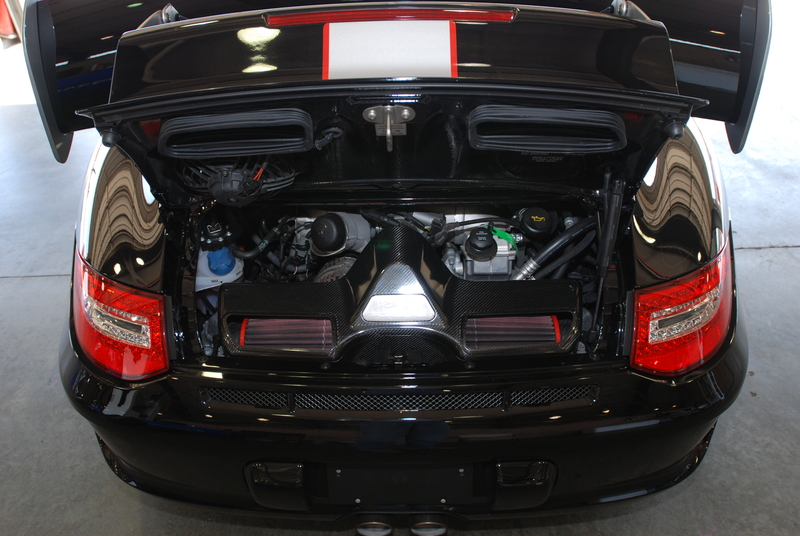 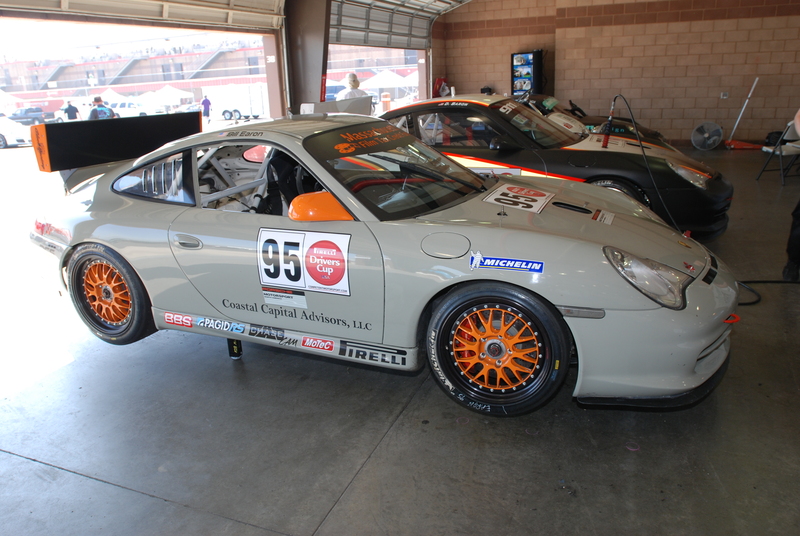 First up was this Gray Porsche 997 GT3RS, prepared by the folks from the GMG /Global Motorsport Group. 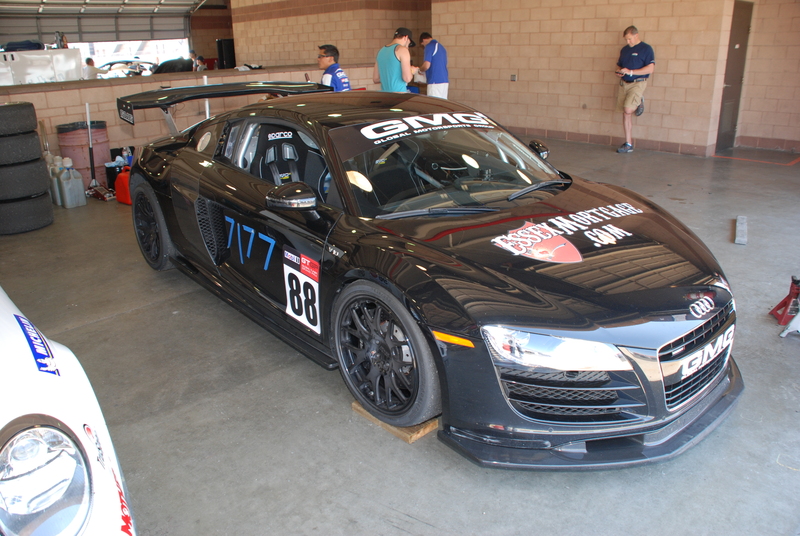 Its stable mate to the left was this black, GMG prepared Audi R8, with what appeared to be a combination of components sourced from Audi’s R8GT3 and LMS parts bin, and powered by a V-10 motor. 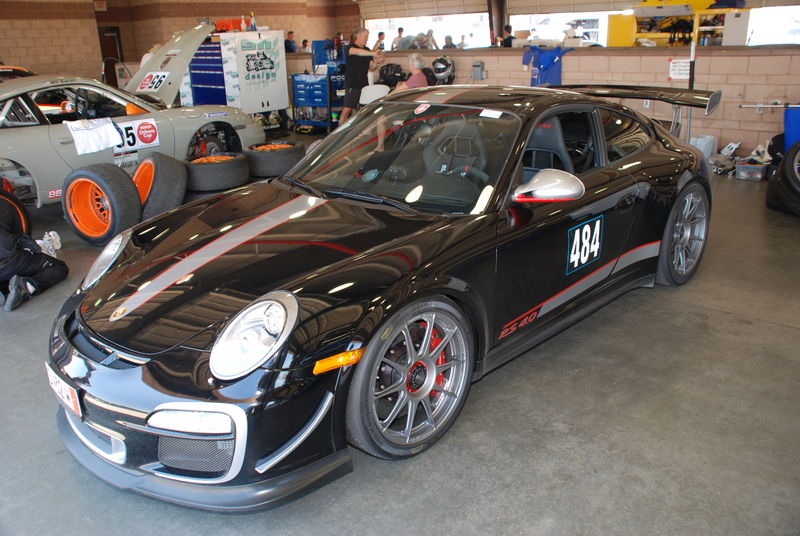 Now imagine my surprise when I looked over and saw this black 2012 Porsche GT3 RS4.0, casually tucked in amongst its GT3 brethren. 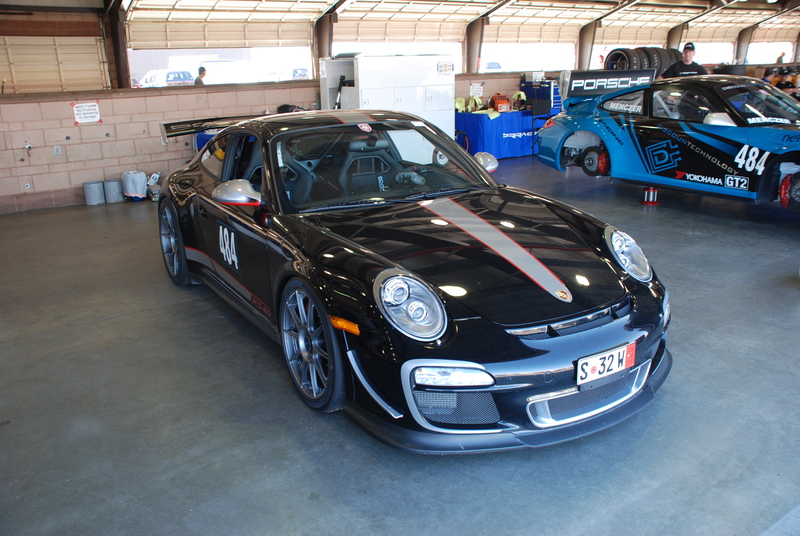 This is the first and only RS4.0 that I have seen configured for racing, and also marks my 9th GT3 RS4.0 sighting. 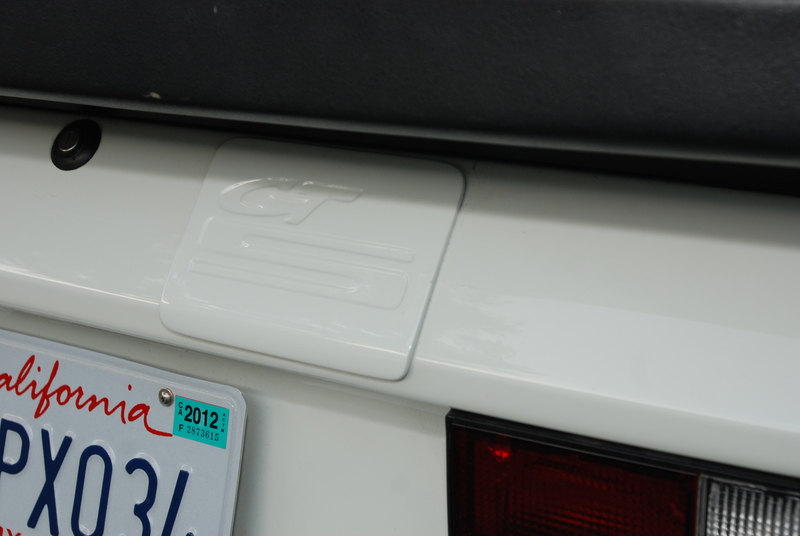 After I finished shooting the car, all that remained was to discover the series number for this car. 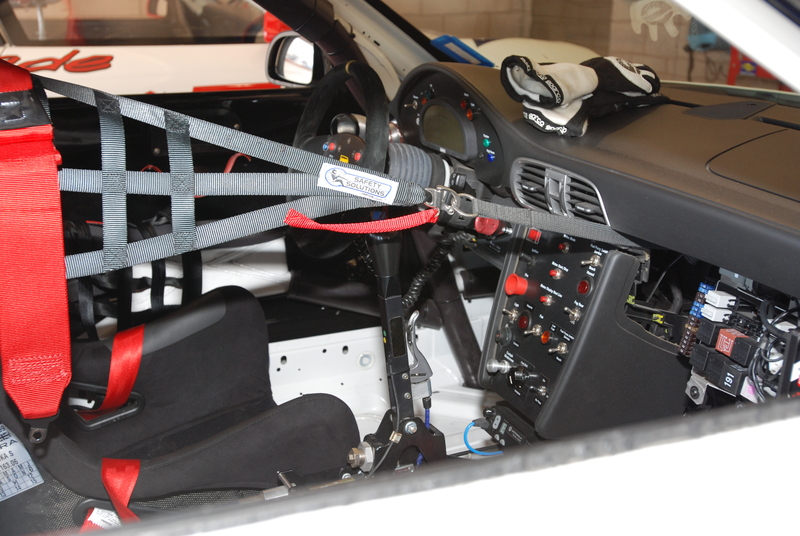 A quick look inside, specifically at the cars glove box door ID plaque, revealed this car as being #239 out of 600. 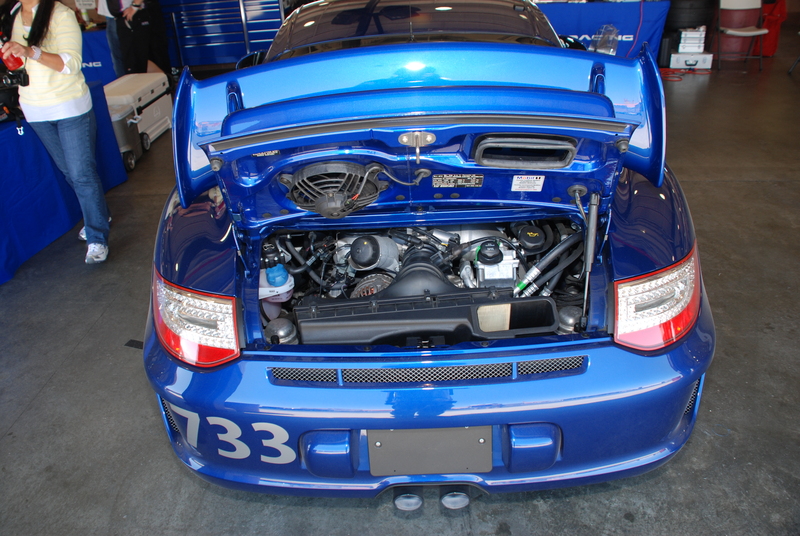 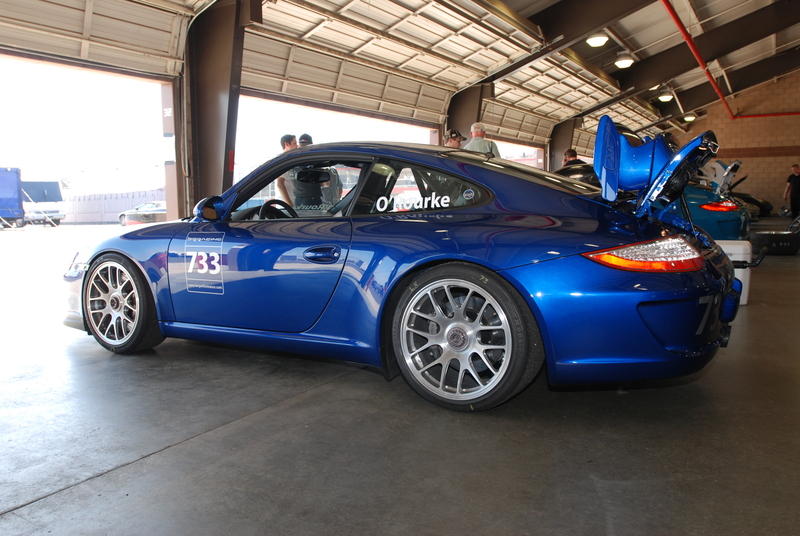 And located just one bay over to the right, was this spectacular blue 2011 997 GT3. 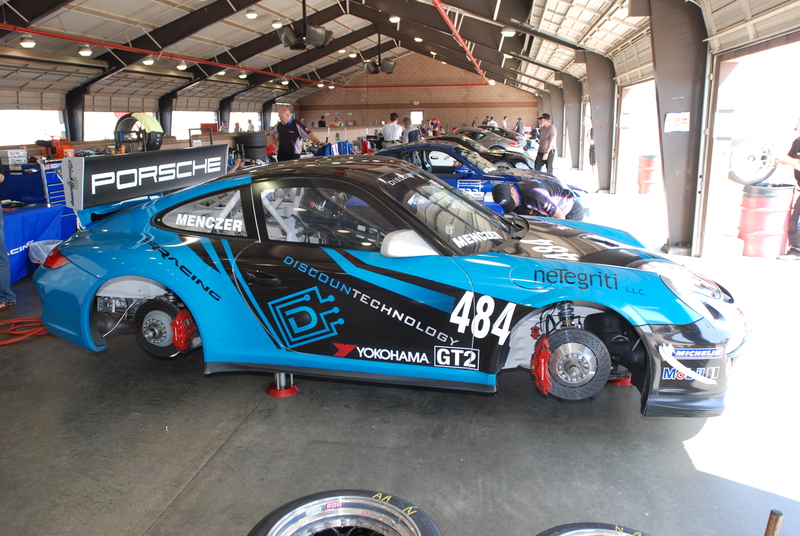 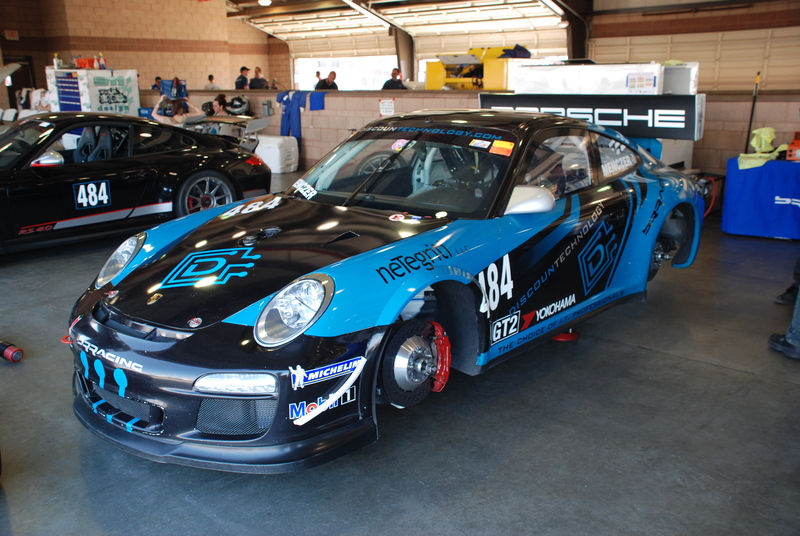 This is the only Porsche GT3 that I have seen wearing this particular shade of blue. 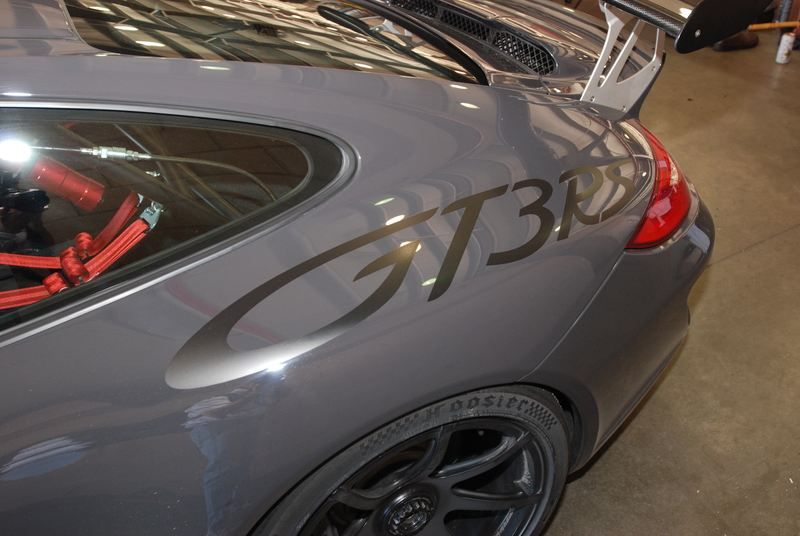 After shooting multiple images of the car, my interests in this particular GT3 finally caught the attention of its owner, who came over and introduced himself. 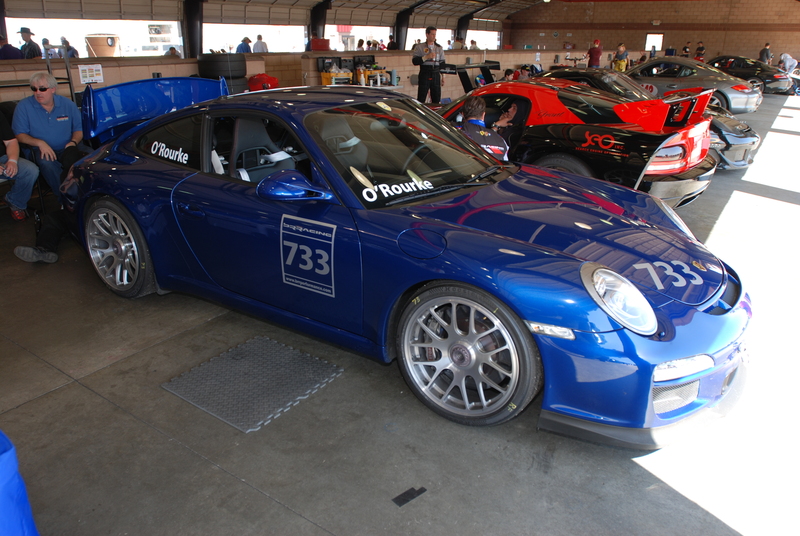 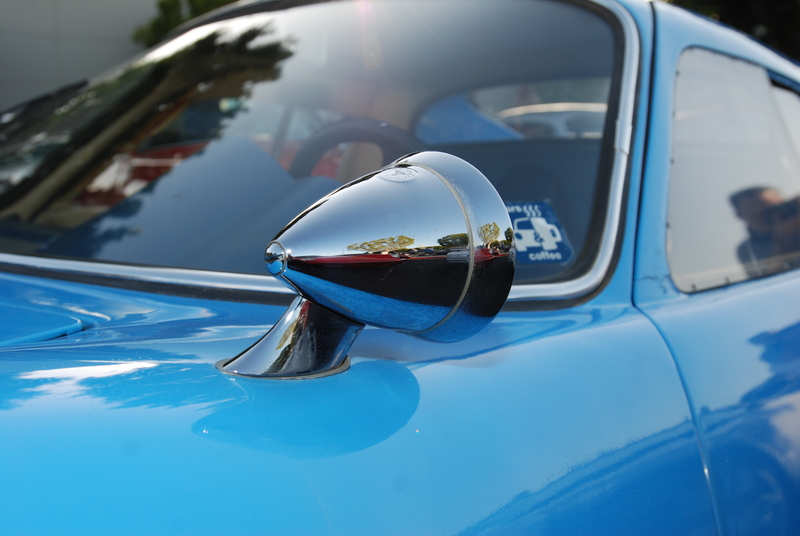 I soon learned that this particular color (Aqua Blue metallic), was in fact a very rare color to be seen on a GT3. 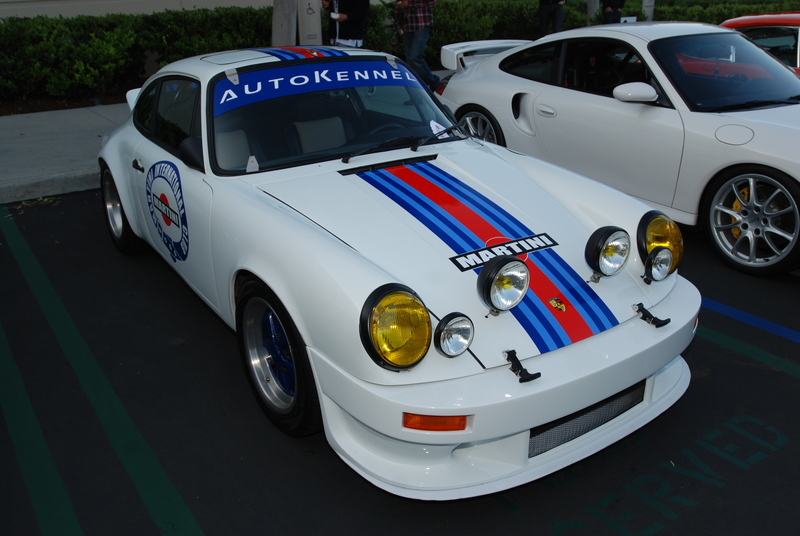 And apparently the people from Porsche were just as impressed, after seeing the car in person at Rennsport Reunion IV. 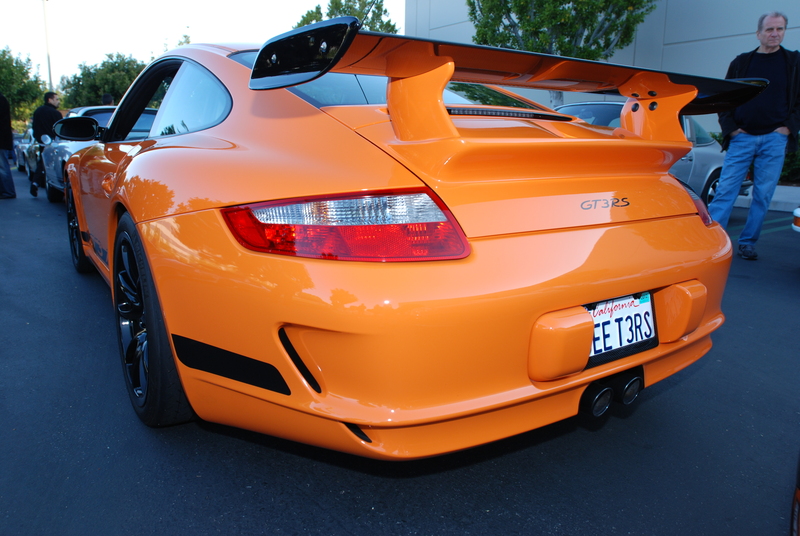 Because of the rarity of this color being optioned on the GT3 model, the owner was asked by Porsche to put his car on display at Rennsport Reunion IV. 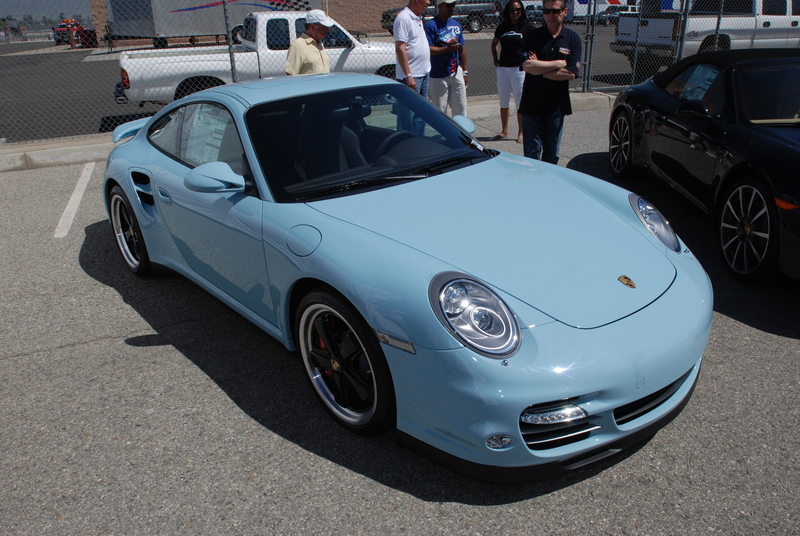 The collective belief is that this may be one of the only 2011 GT3’s in North America painted Aqua blue metallic. 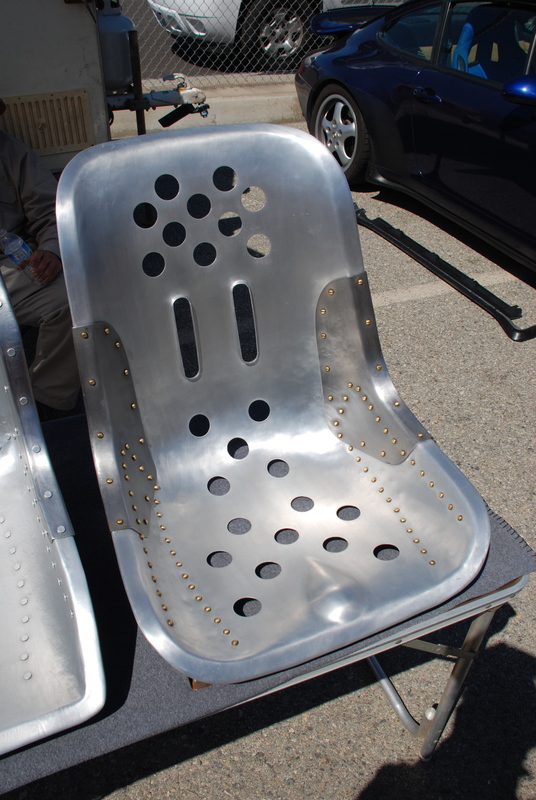 After making the rounds at the two garages, it was time to check out the vendor row. 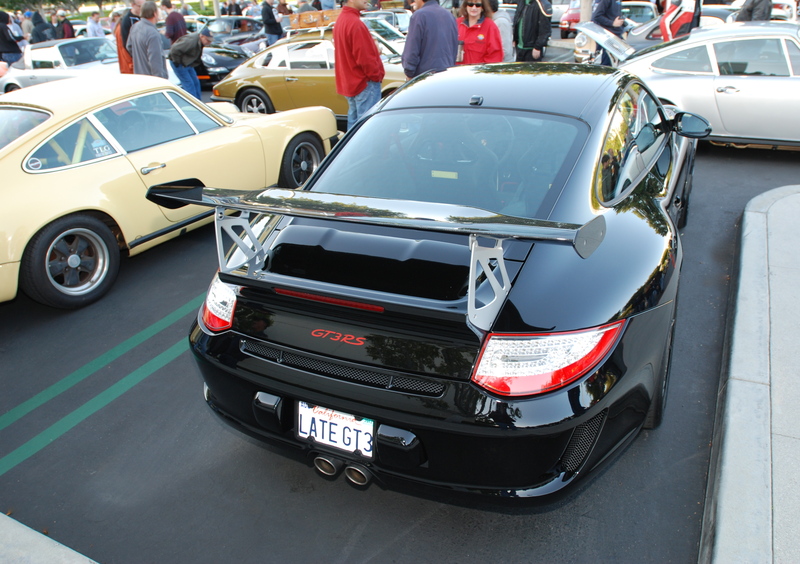 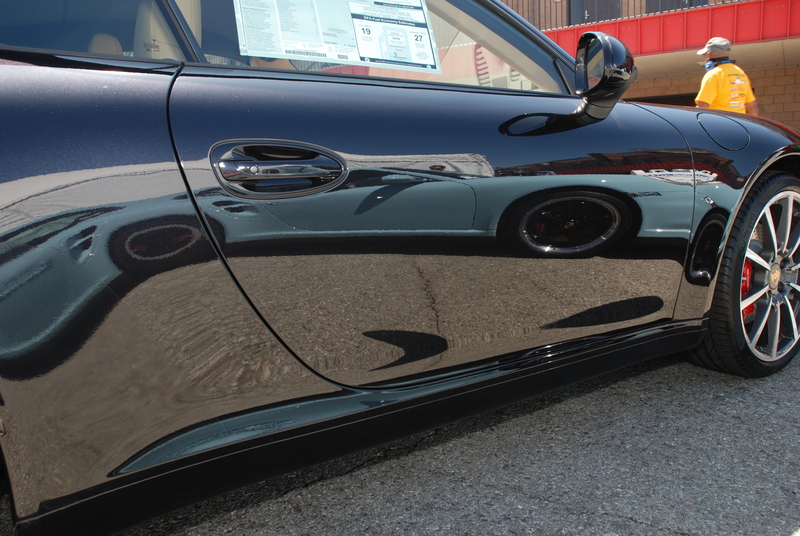 The blue Porsche 997 turbo seen above was on display courtesy of Walter’s Porsche, and paired with a new black Porsche 991 cabriolet. 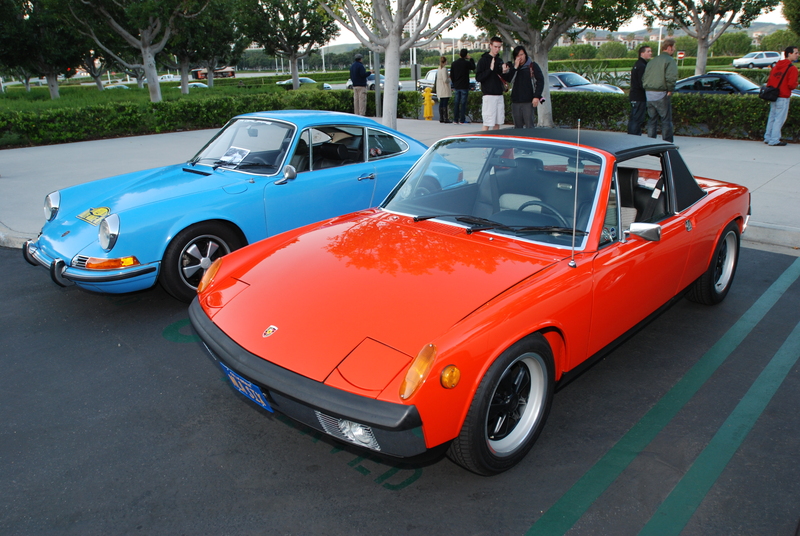 In talking with the sales rep, I learned that this particular color had been sourced from Porsches 356 color palette, originally available for the 1957 to 1959 models, and known as Meissen Blue. 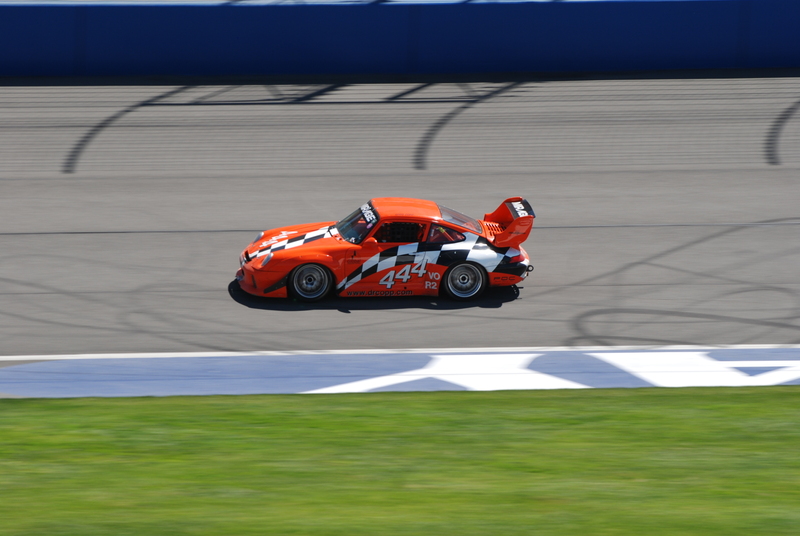 By now it was getting close to noon time; time to grab some lunch and something cold to drink. 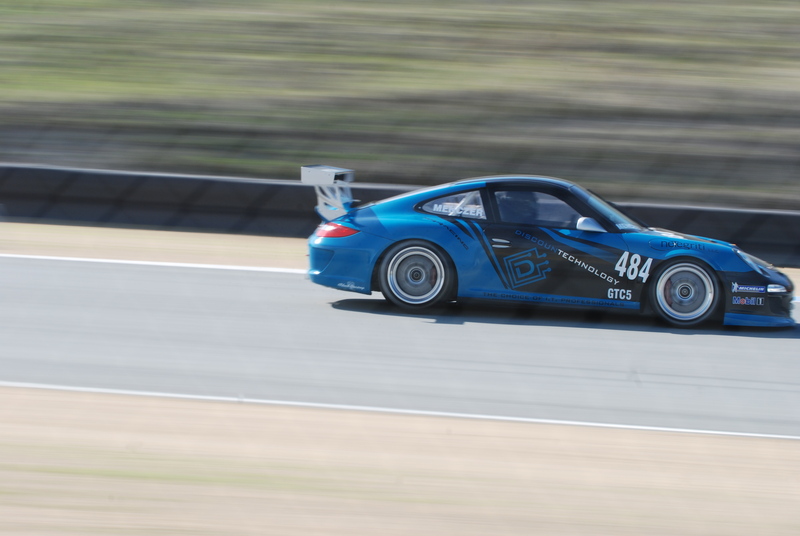 With food, drink and camera in hand, it was time to find a shady place to sit down, eat and get ready for the afternoons PCA (Porsche Club of America) club racing to begin. 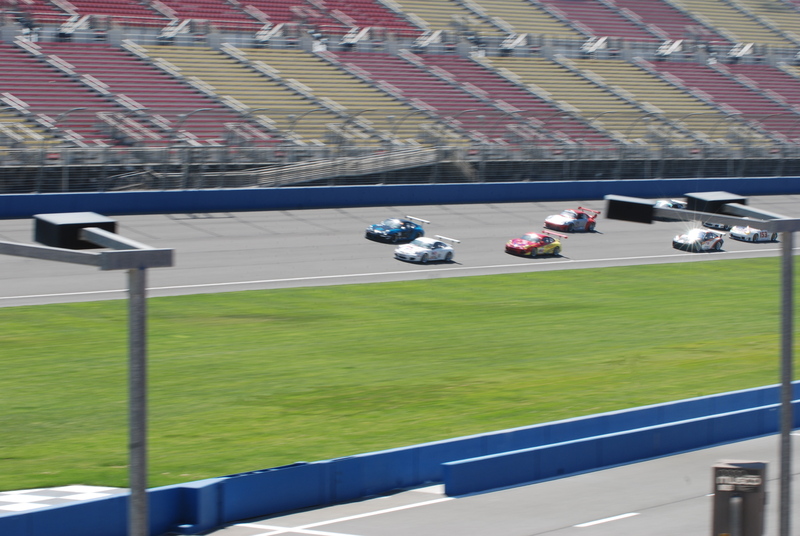 Fortunately, this track has covered infield seating that sets on top of the pit lane suites, and runs the length of and overlooks pit lane, offering up a great view of the racetrack, especially the start / finish line. 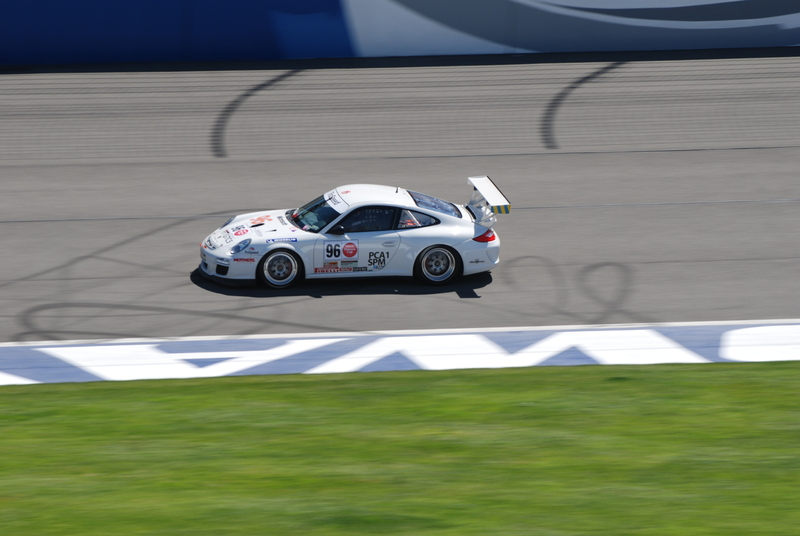 After the races concluded, I headed back into the garage area, to make one last pass through before heading home. 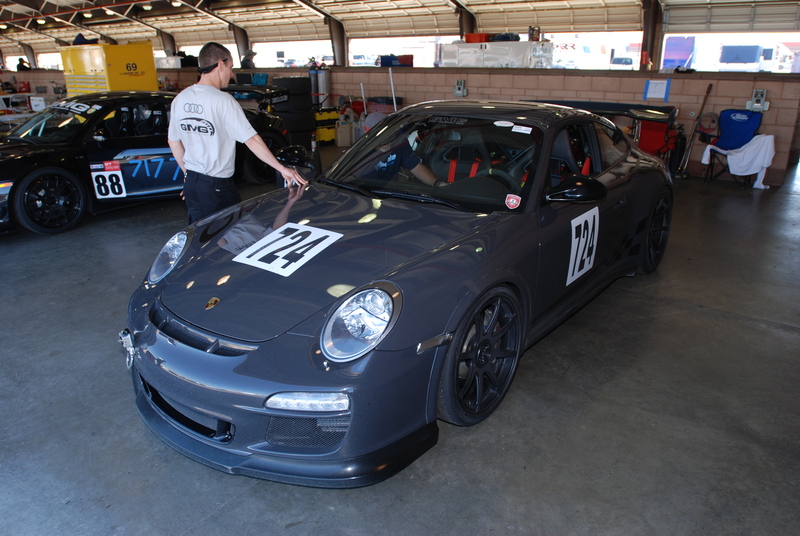 As I was approaching Garage 1, I saw my friend Eric sitting on his bike, visiting with his fellow racers. 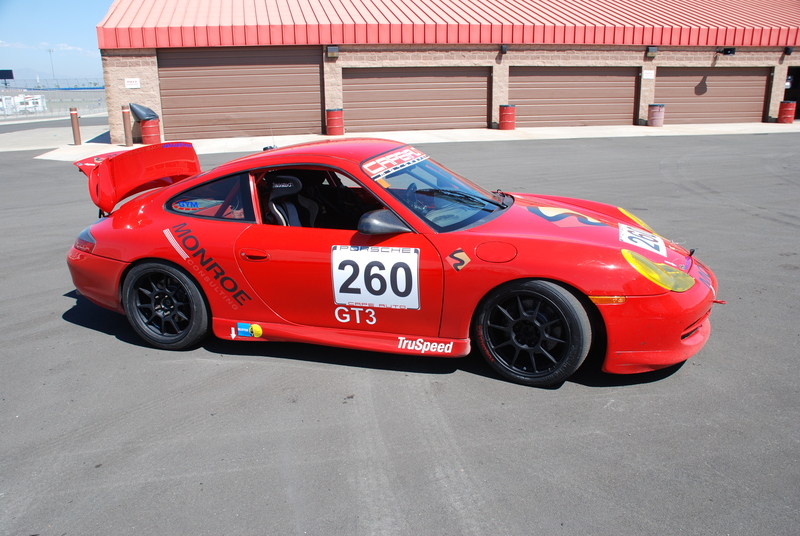 I had been looking for Eric and his race car all morning ( a red,1999 Porsche 996 GT3 Koni Challenge Cup car), but had been unsuccessful in locating him. 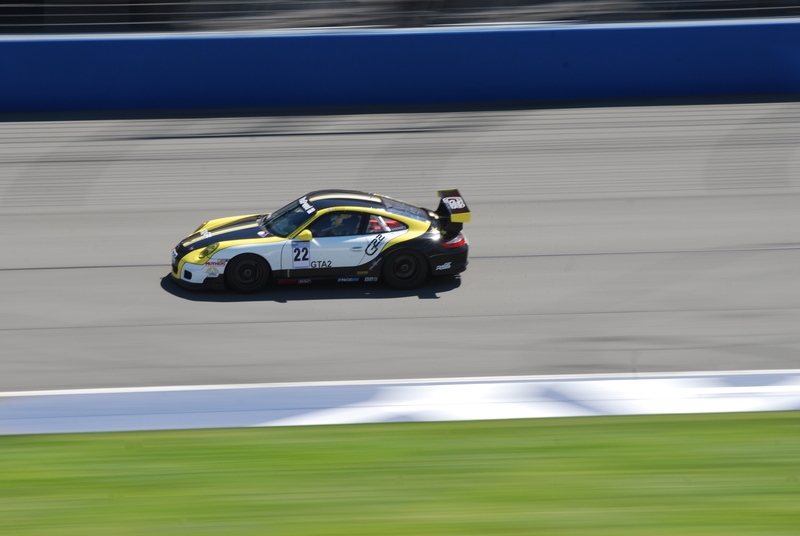 I soon learned that he had been out on track earlier that morning (apparently while I was roaming the garages), thus I missed seeing his time out on the track. 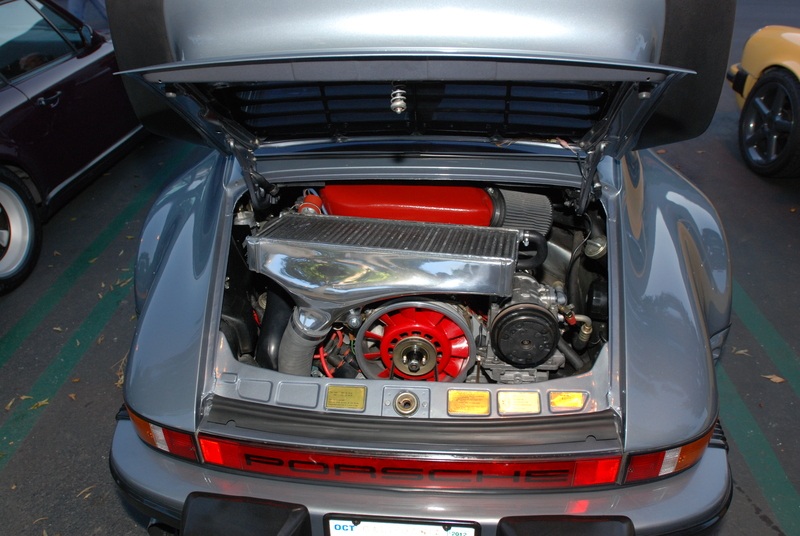 Unfortunately, with the summer like weather and high temperatures on this day, his car had begun experiencing overheating problems. 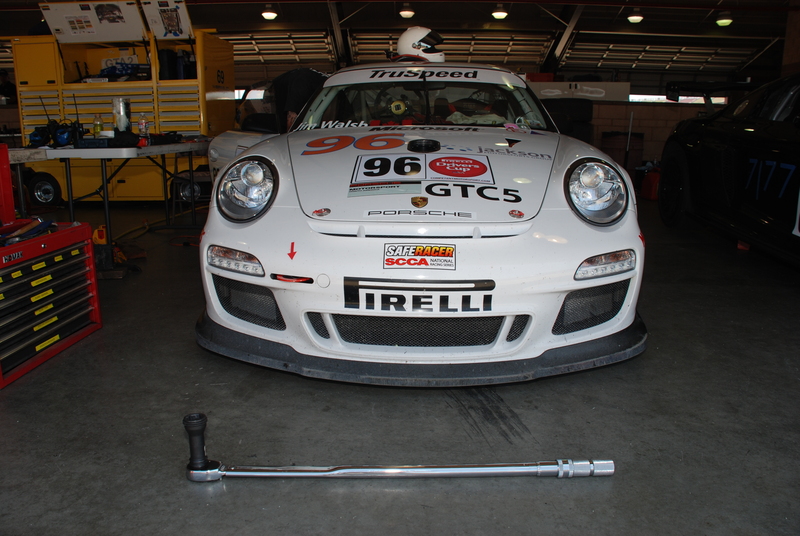 Rather than risk catastrophic damage to his motor, Eric made the painful decision to sit out the afternoon race, and was now in the process of trying to locate a new water pump for his car ( believed to be the cause of his overheating problem). 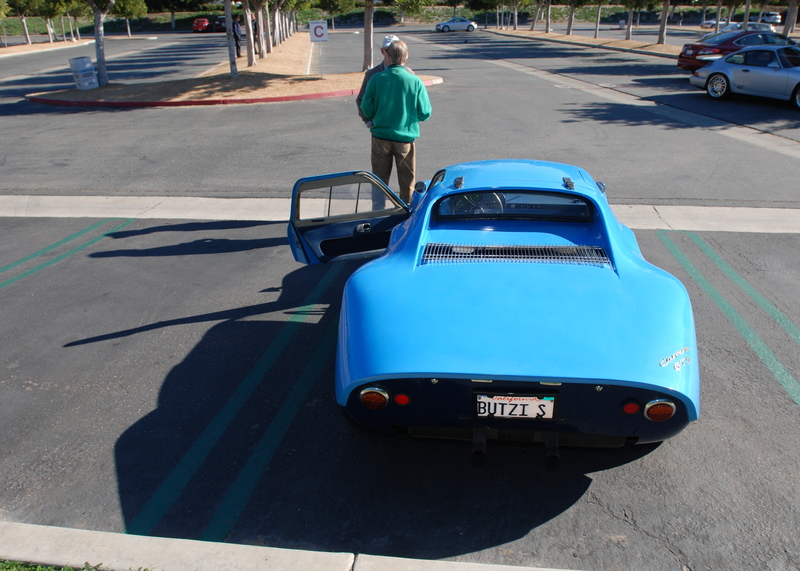 Eric pointed me in the direction of his car (parked over behind his trailer), so I could check it out and get some photos. 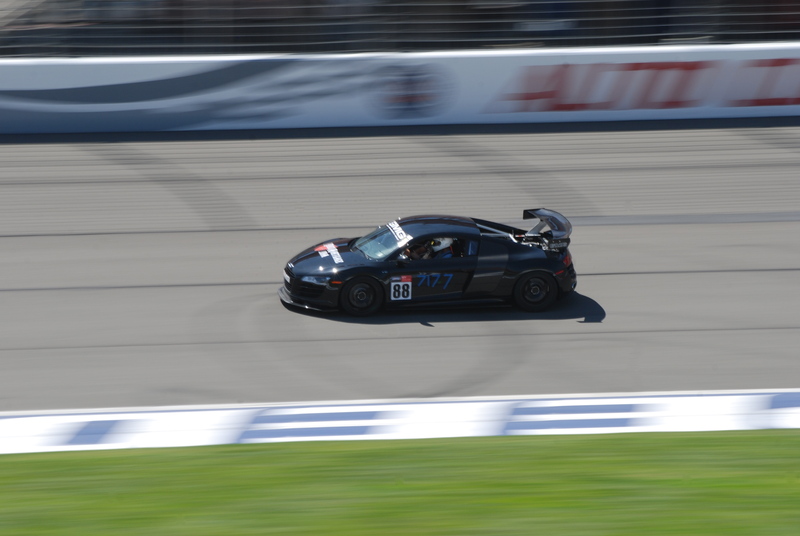 He then rode off into the pit area on his quest to locate a water pump. 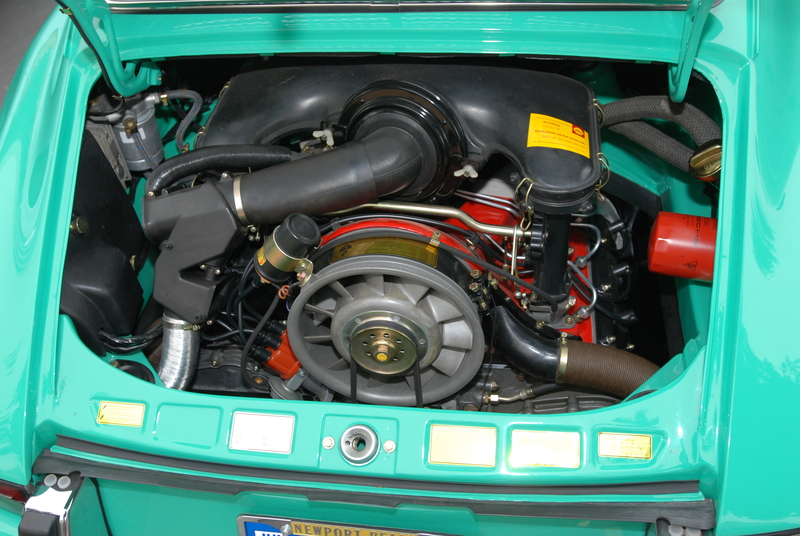 After shooting his car, I ran into Eric and his wife, still searching for the elusive water pump. 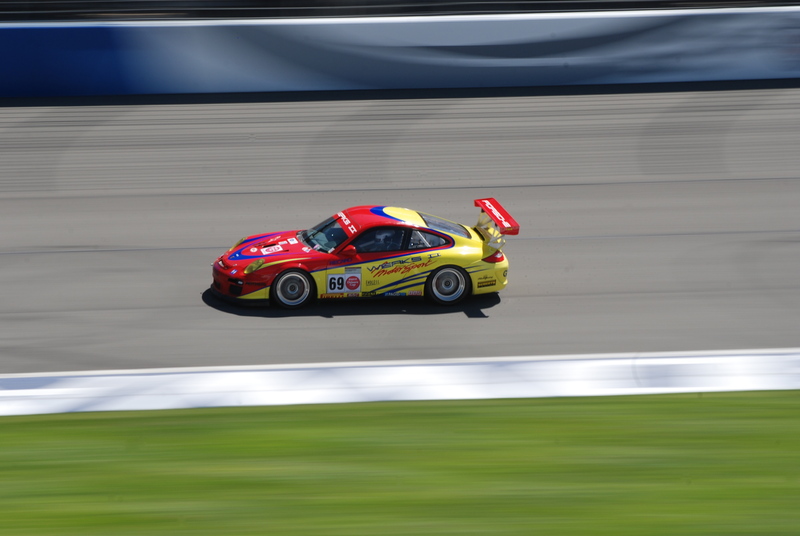 As they headed back to their motor home to cool off from the afternoon heat, I said my goodbyes and was off for one last pass through the garage areas. 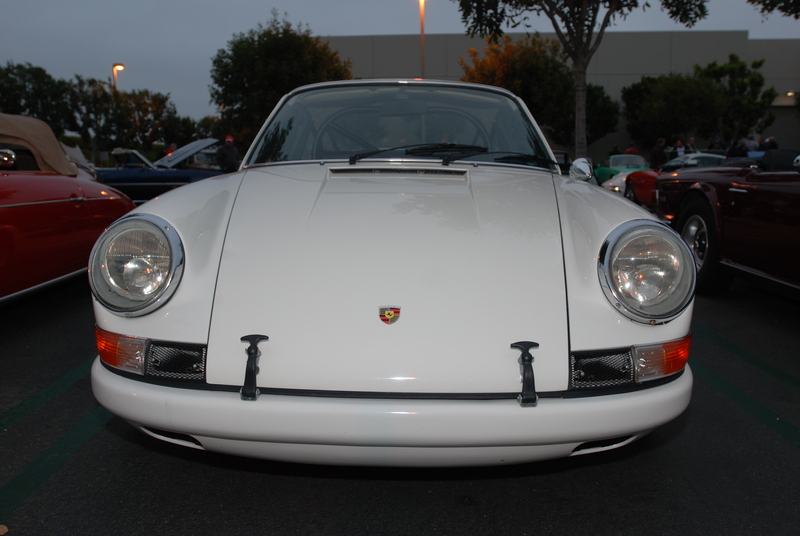 Just as I rounded the corner of Garage 1, the back-end of a white Porsche 911 caught my eye. 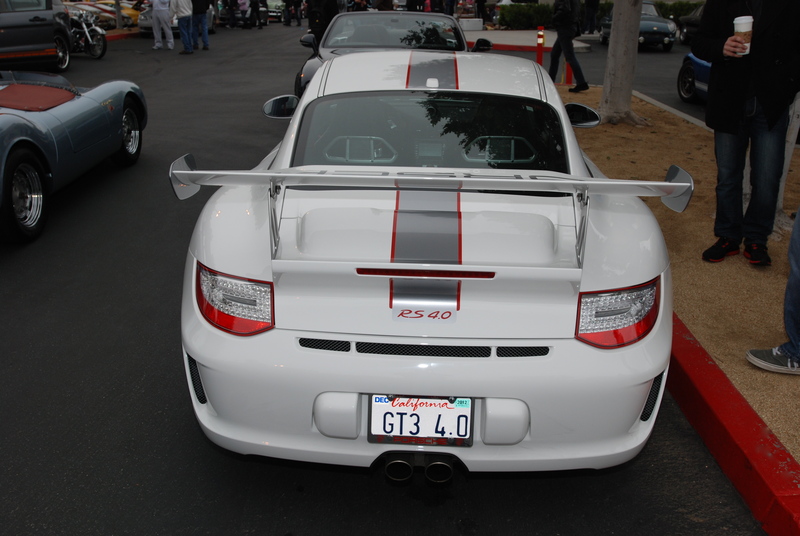 As I headed in its direction, I initially thought it to be a GT3RS. 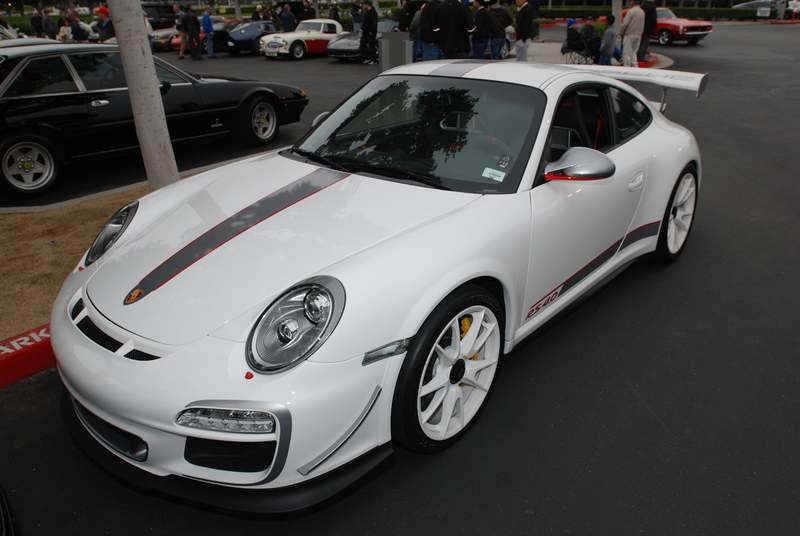 However as I got closer, and was able to make out the graphics, I quickly saw that it was instead a GT3 RS4.0. 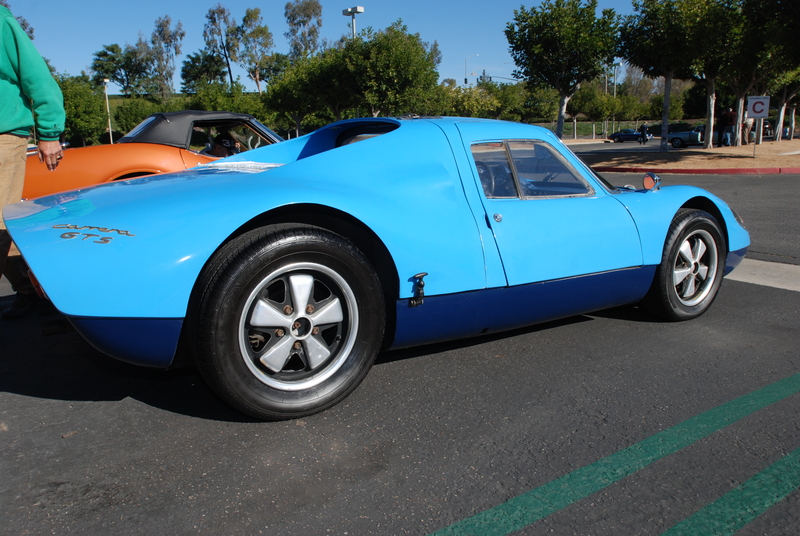 Given the rarity of these cars, I’m still amazed to this day that I have seen as many as I have in person, and now this latest encounter brought my total sightings up to ten. 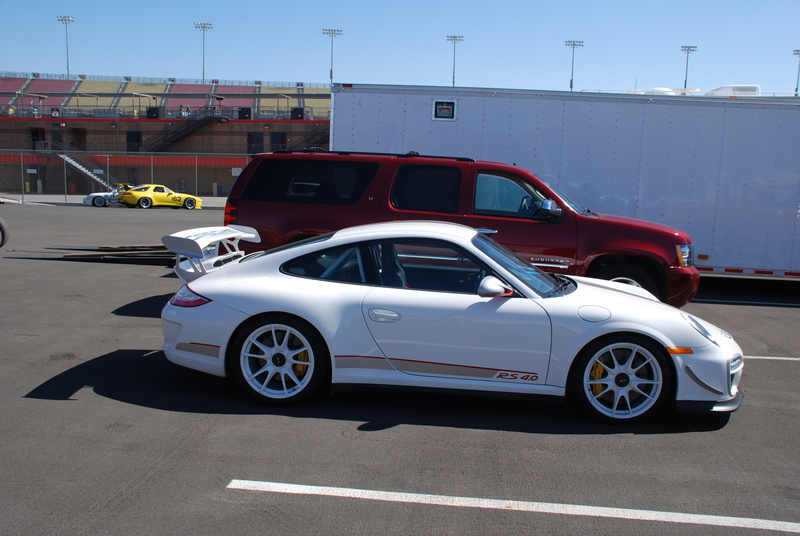 The day had presented me with another amazing opportunity to witness not just one but two of these rare GT3 RS4.0’s (in person and on the same day). 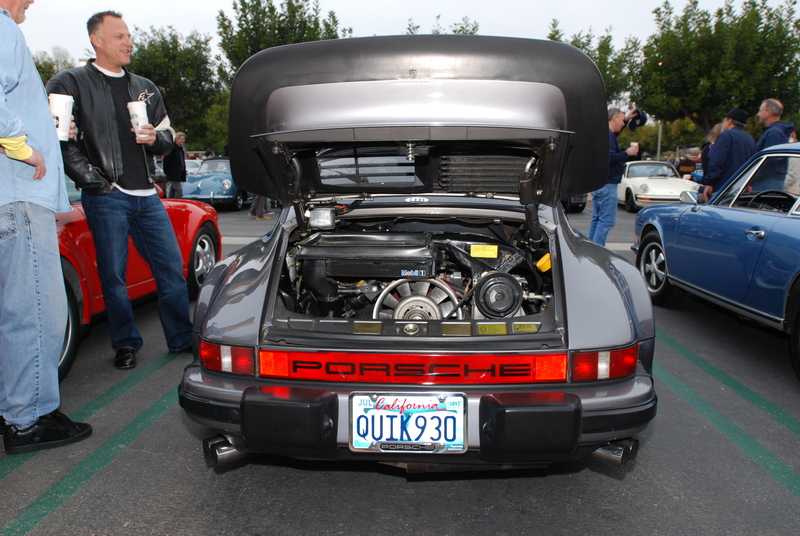 I made my way over to the passenger side of the car to get a look at the glove box plaque, which revealed that this car was series # 331 of 600. 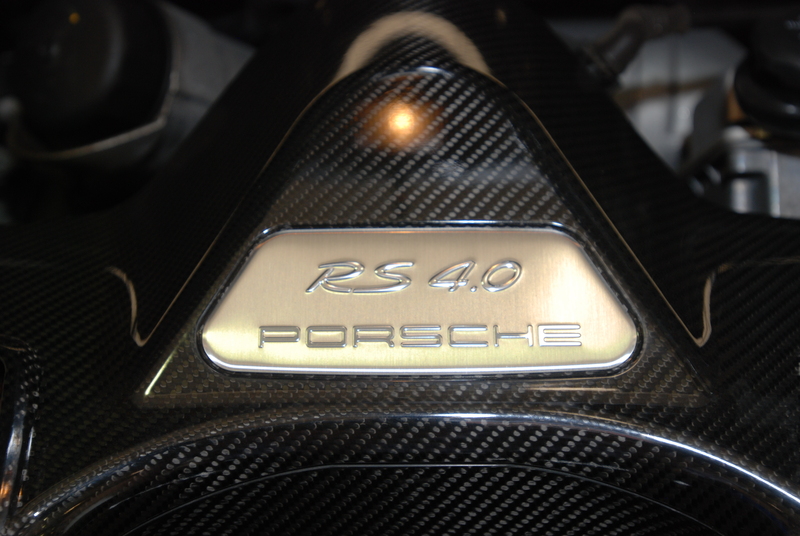 Now all I have to do is find one car from the 100 series and 500 series, and I will have experienced a complete sampling of the entire RS4.0 production range. 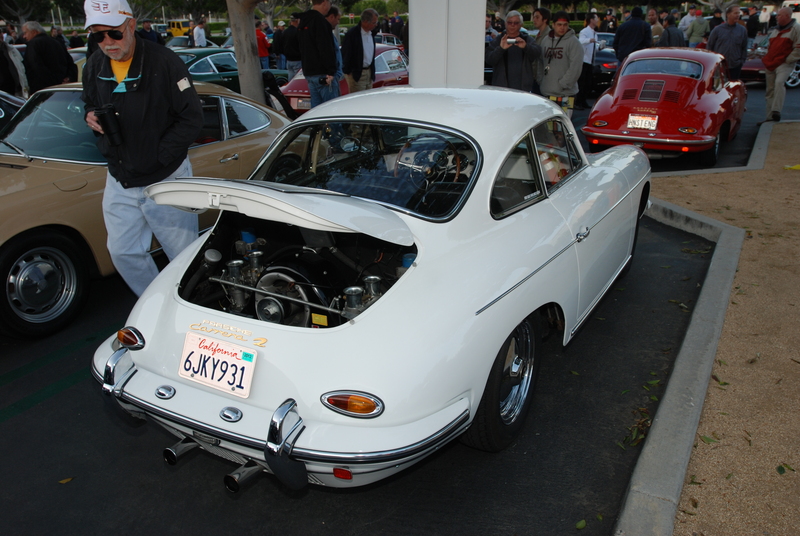 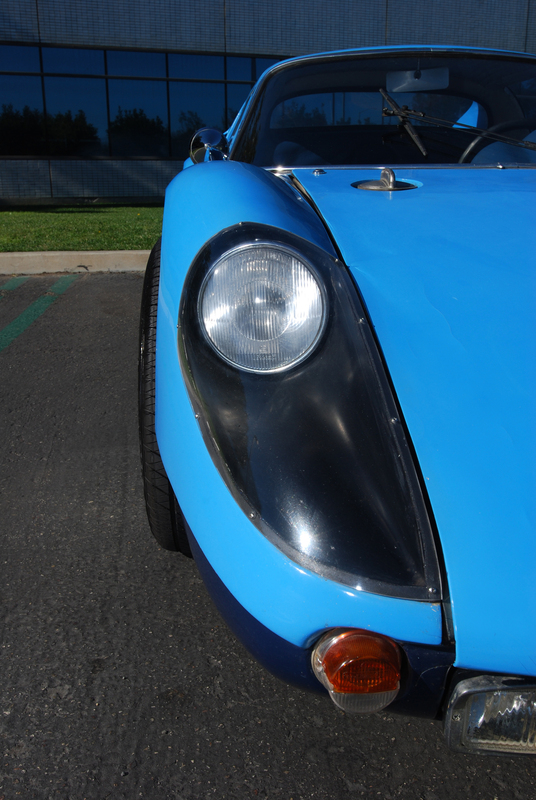 And who knows what surprises or opportunities await tomorrow morning at Cars&Coffe / Irvine? 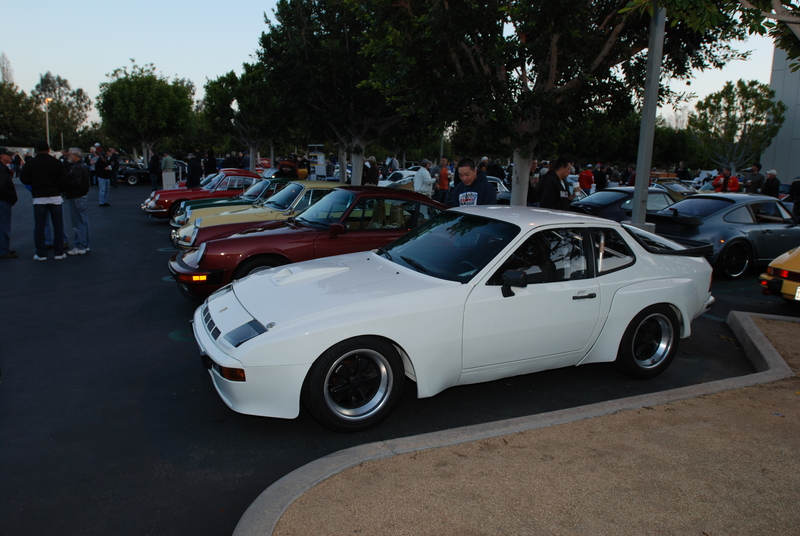 As a result of my recent encounter with a white, Porsche 924 Carrera GTS Club Sport (two weeks ago at Cars&Coffee/Irvine), and after researching the history of these cars, I have a renewed appreciation for just how rare these cars are and have become since their introduction back in 1981. 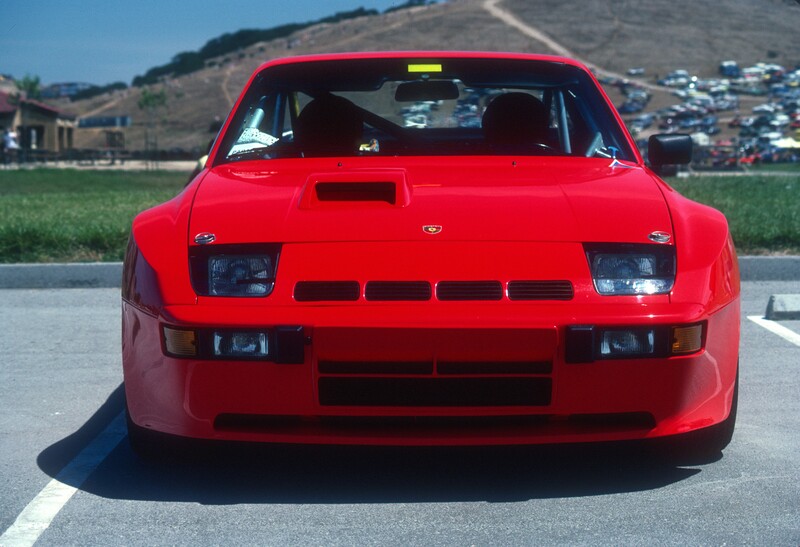 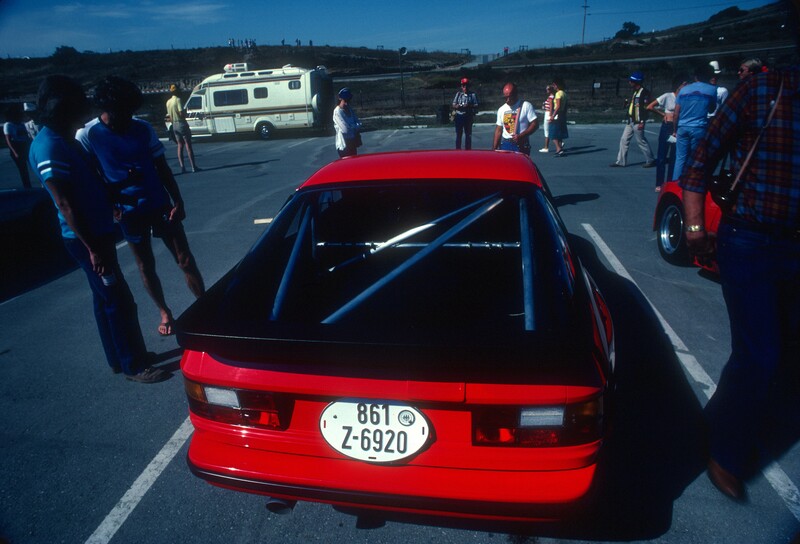 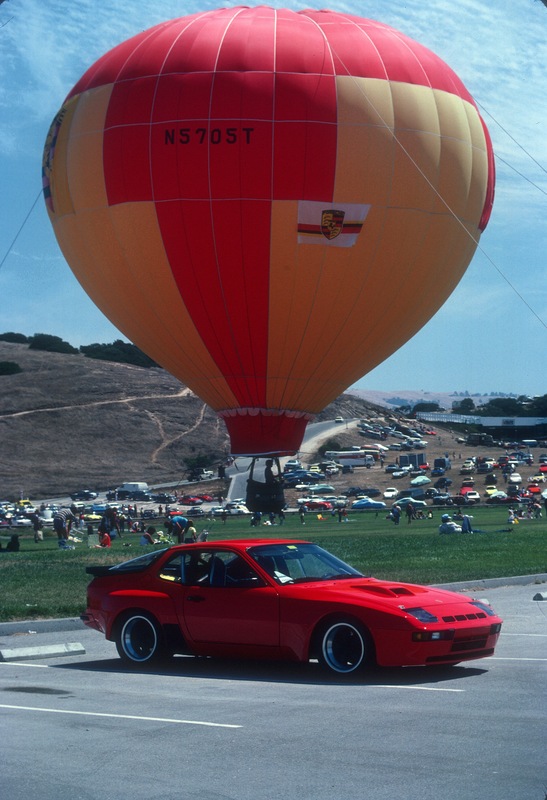 Looking back, my first encounter with a 924 Carrera GTS Club Sport occurred back in August 1982, at the Monterey Historics event hosted at Laguna Seca Raceway. 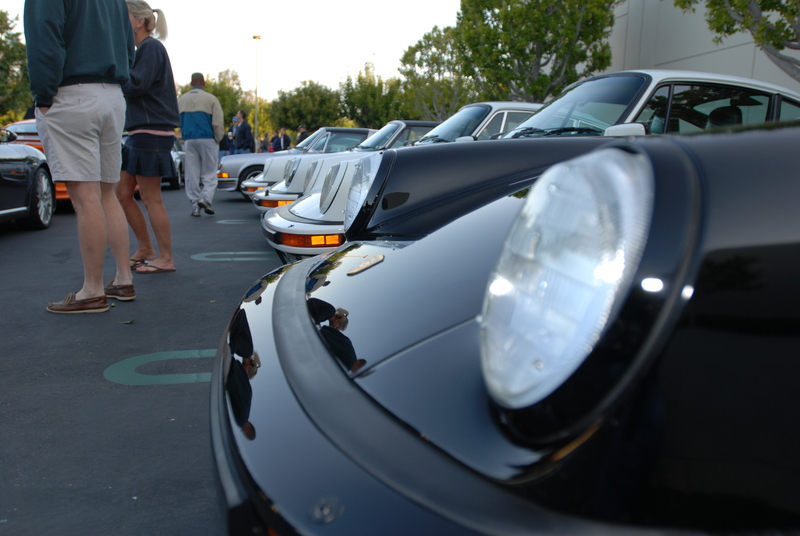 We had made the trip up to Monterey for the weekend, to experience and celebrate Porsche being the featured manufacturer for 1982. 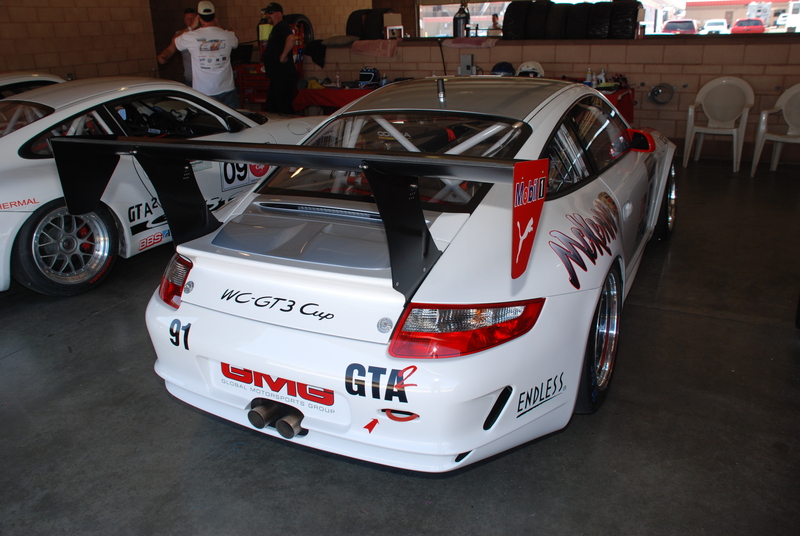 Little did I know at the time how few of these cars existed, or the impact that this particular model would have on my memory of that weekend. 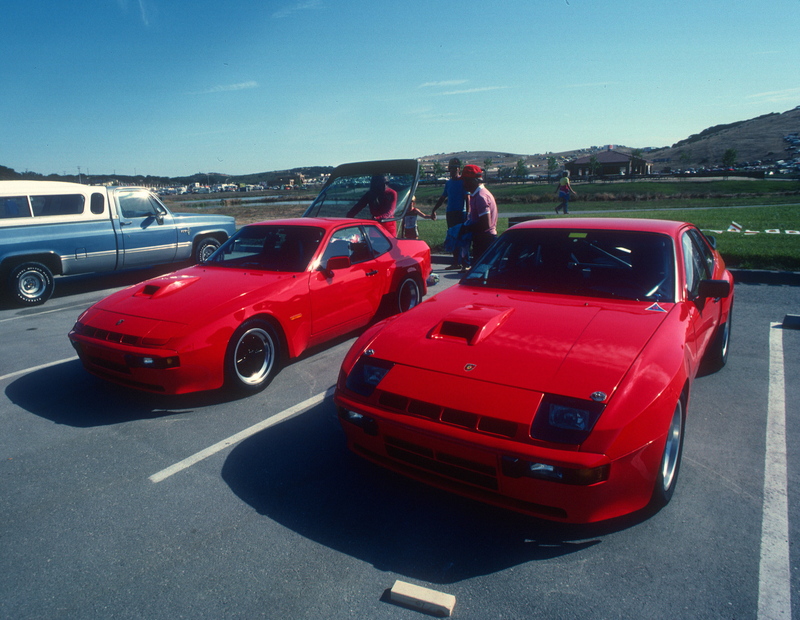 It was by sheer accident that my dad and I came across this pair of red Porsche 924’s parked side by side in the infield. 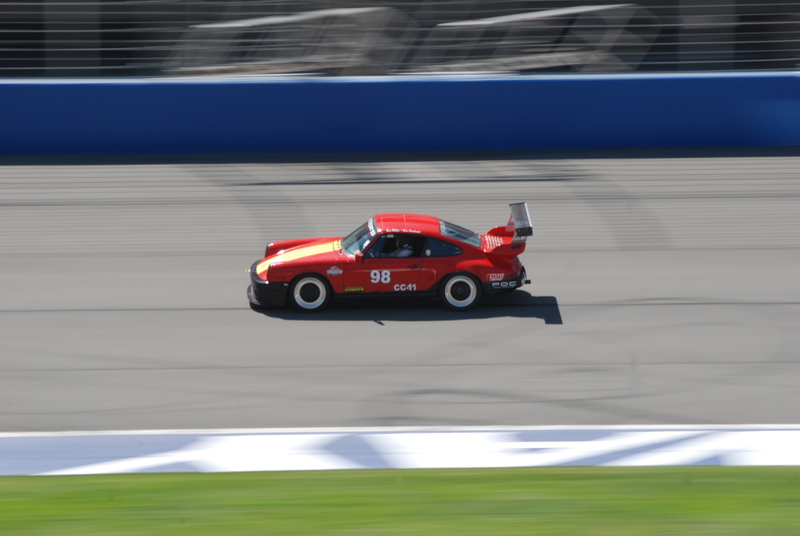 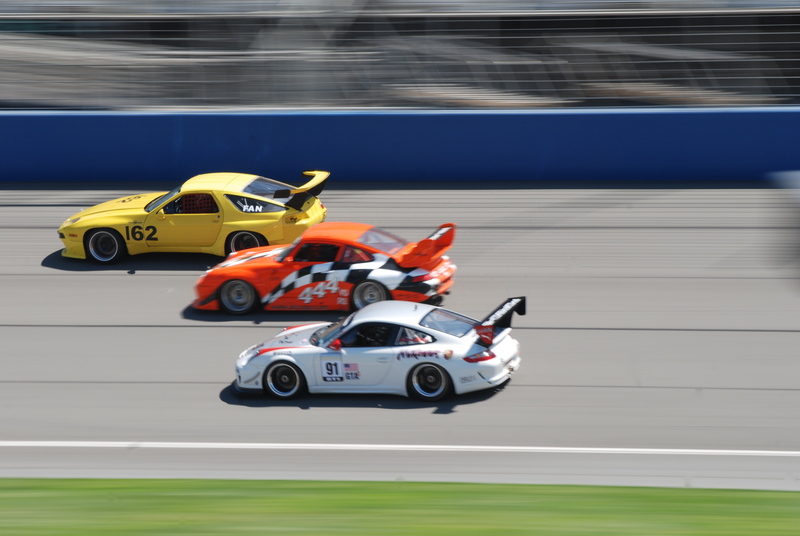 We had been walking through the infield to access a different section of the race track when we spied these two cars, and quickly realized they were not your average Porsche 924. 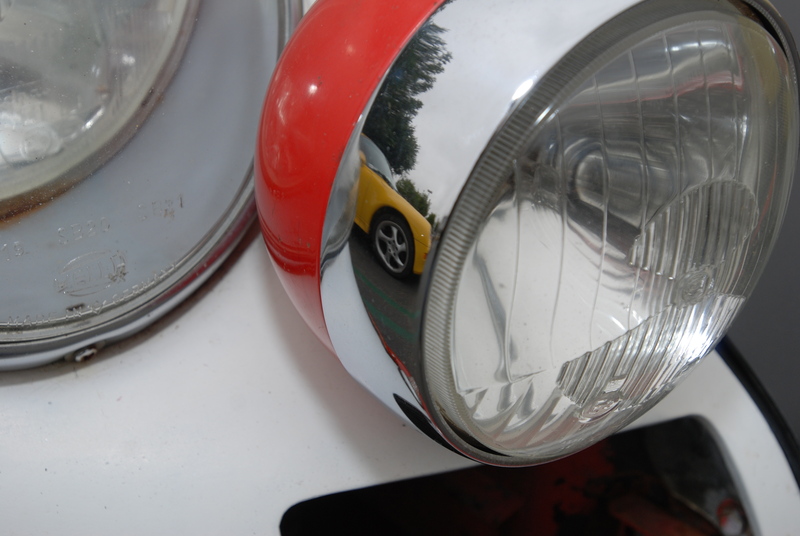 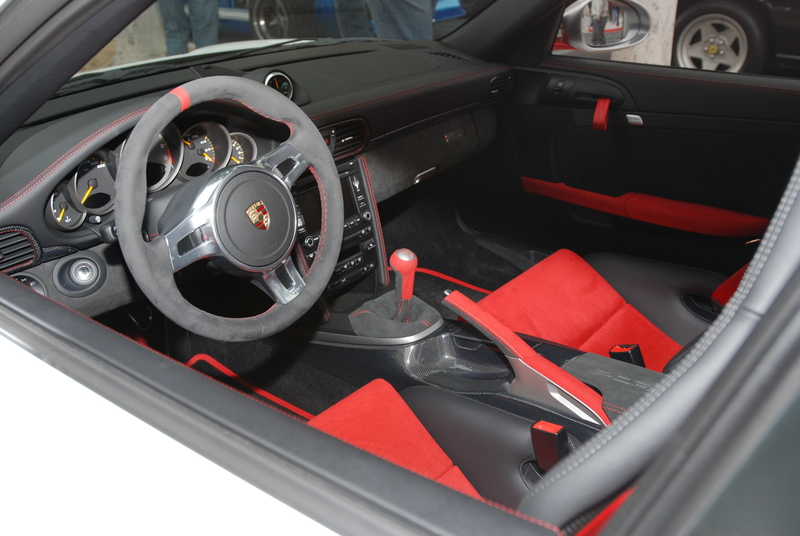 A close up inspection revealed one to be a 924 Carrera GT, and the second, the race inspired GTS Club Sport model. 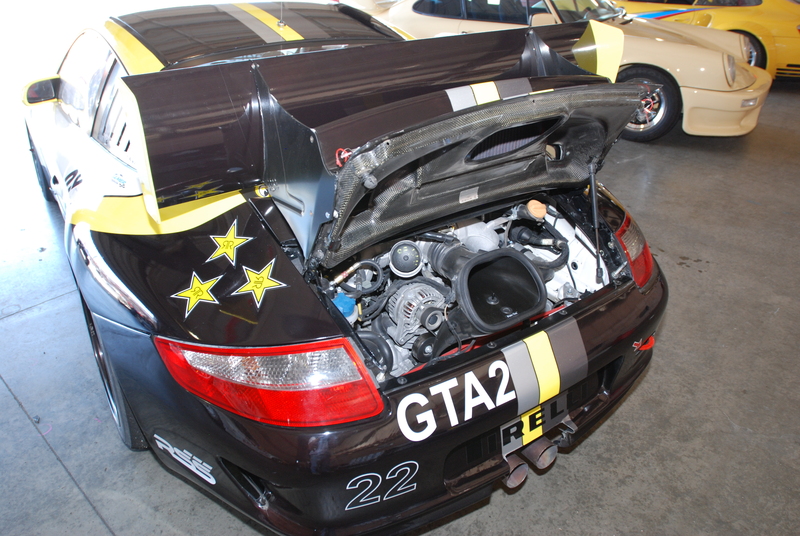 I was immediately drawn to the GTS, given its stripped down, race derived look and feel. 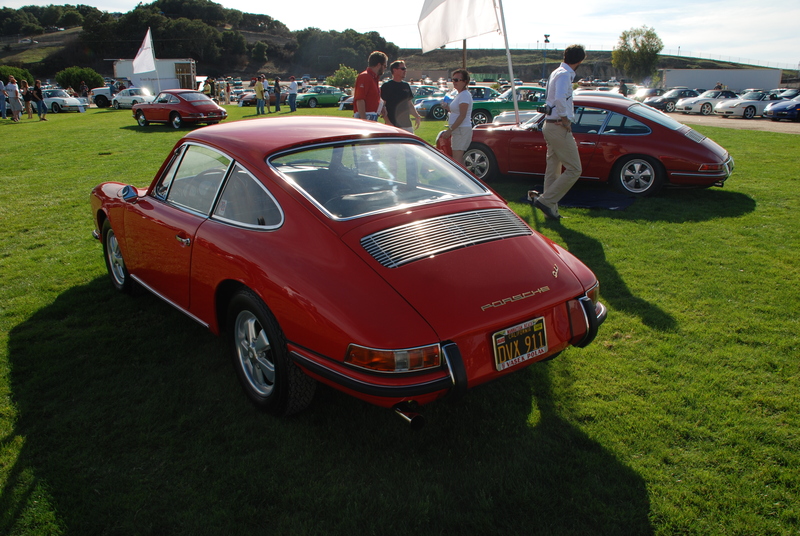 I have always been a die-hard Porsche 911 fan, but this was a car I admired for its purpose-built intent and aesthetic. 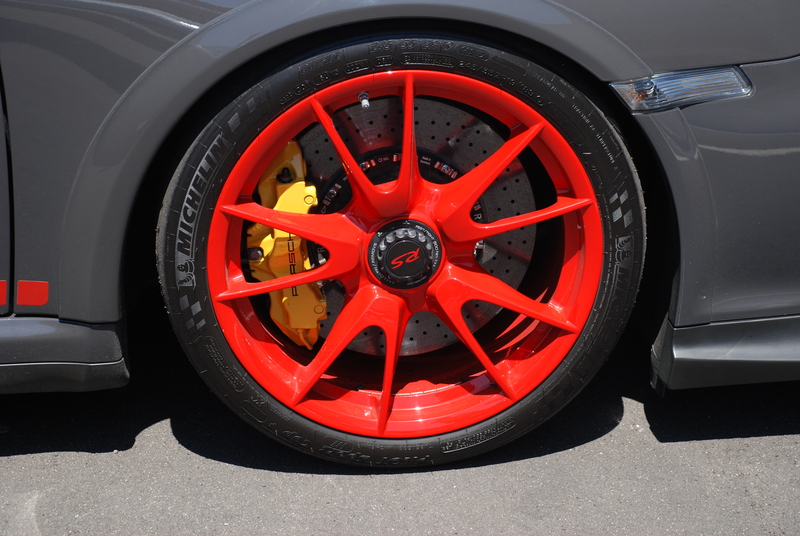 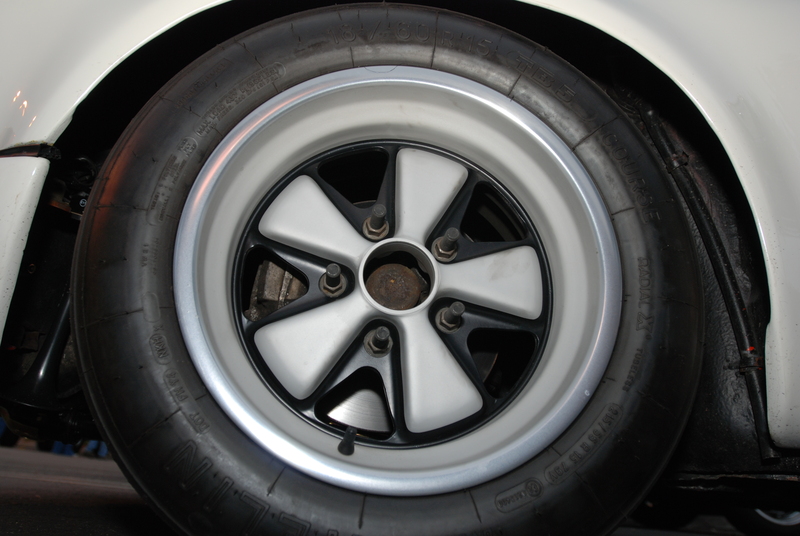 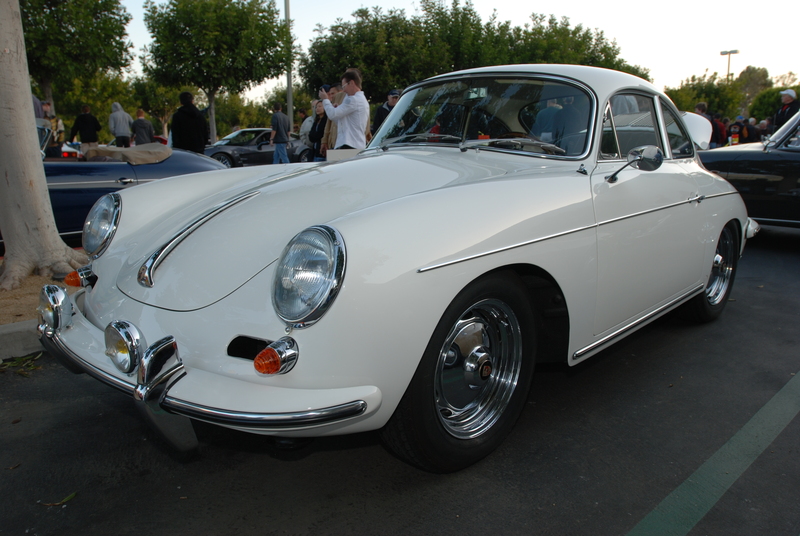 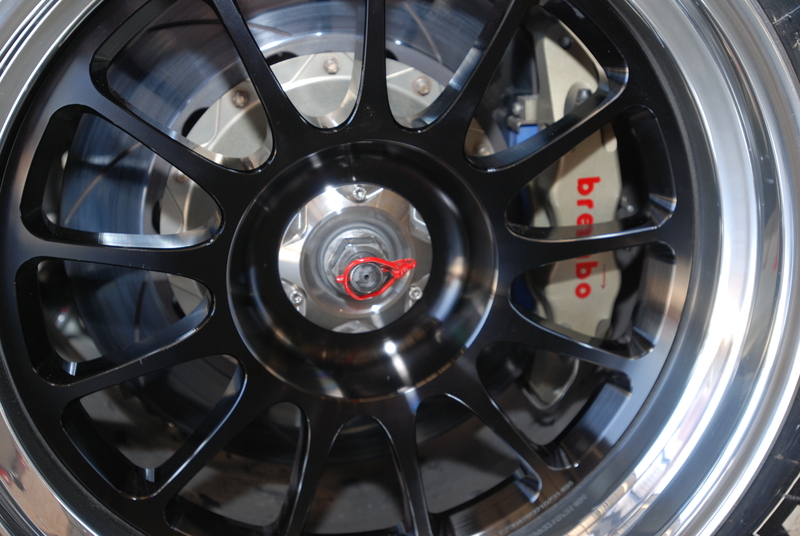 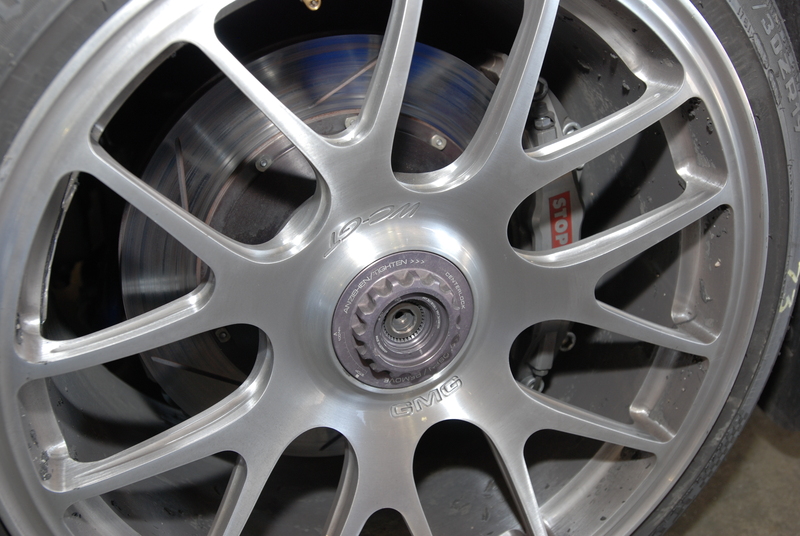 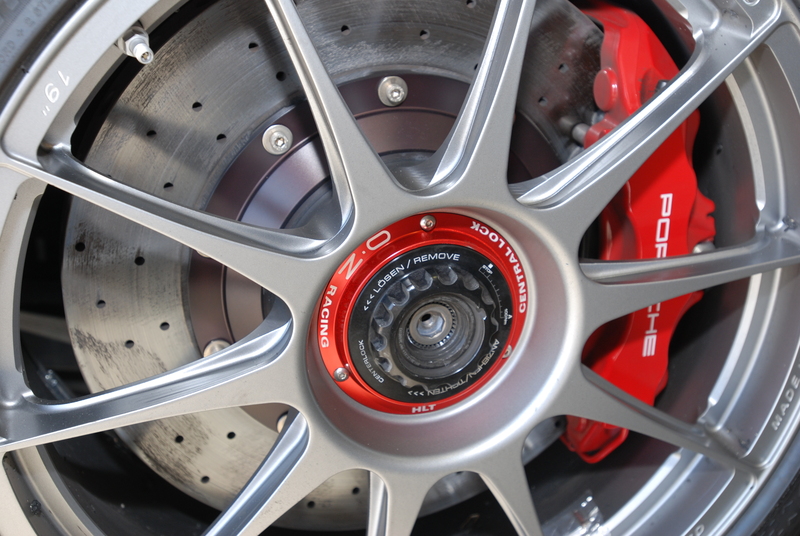 It didn’t hurt that its Fuchs alloy wheels and brakes were taken from the 911, or that its trailing arms were cast aluminum instead of the standard steel units, to shave weight yet still retain strength. 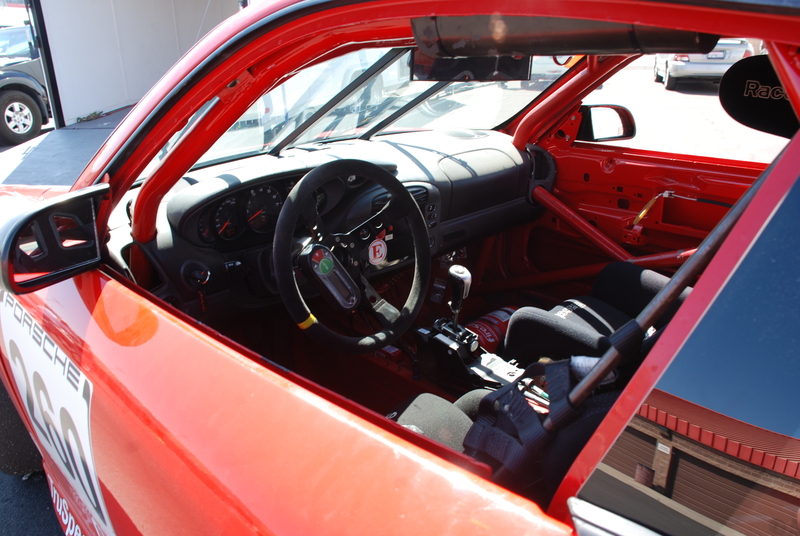 Its suspension was also altered by the removal of the standard torsion bar setup, and replaced with a more performance derived coil over shock setup. 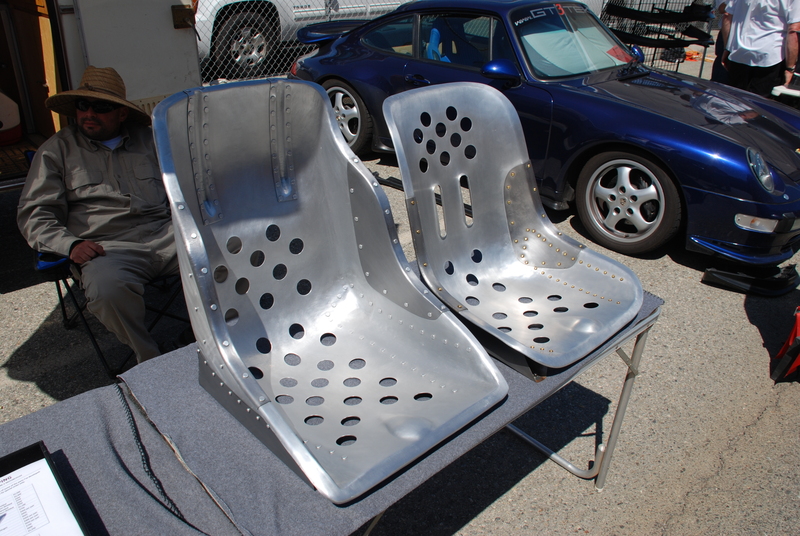 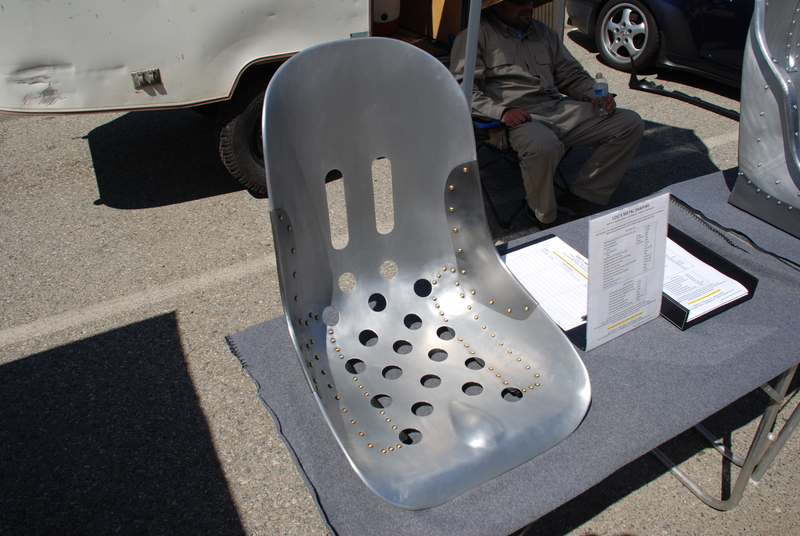 For the interior, a pair of racing seats sourced from the Porsche 935 parts bins were used, along with a full roll cage designed and crafted to meet the rigors of competition and conform to the Group 4 homologation requirements. 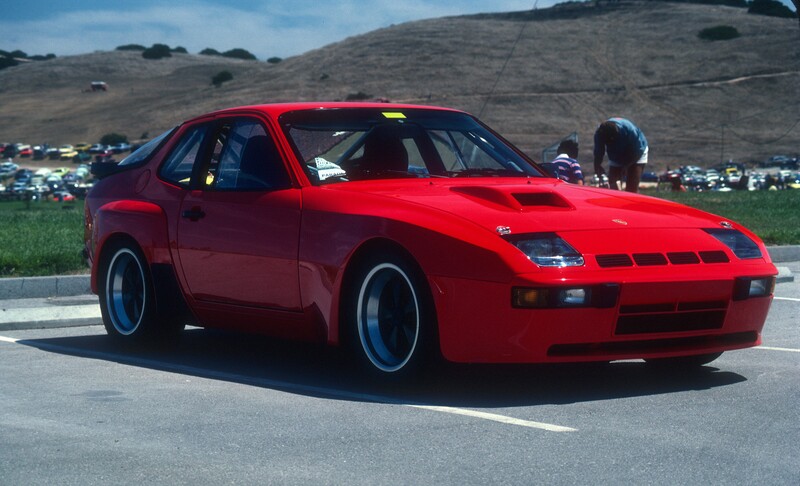 Ironically, the aforementioned parts when combined with a higher output motor (275 hp vs. 245), and applied to a base Carrera GTS model, created what came to be known as the 924 Carrera GTS Club Sport. 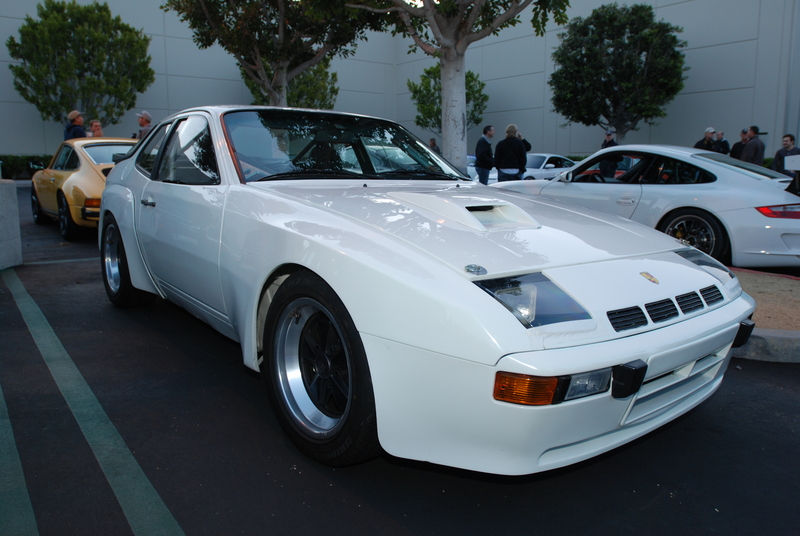 I never realized what constituted the difference between a base 924 GTS and the Club Sport model, until I decided to research the car after encountering and photographing the white GTS Club Sport recently at Cars&Coffee / Irvine. 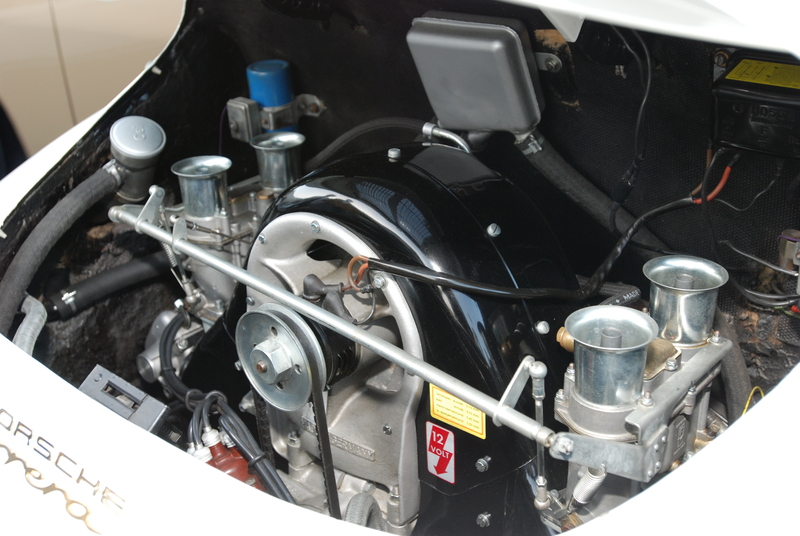 Even with the internet, it’s hard to beat the old school method of fact-finding through the use of books. 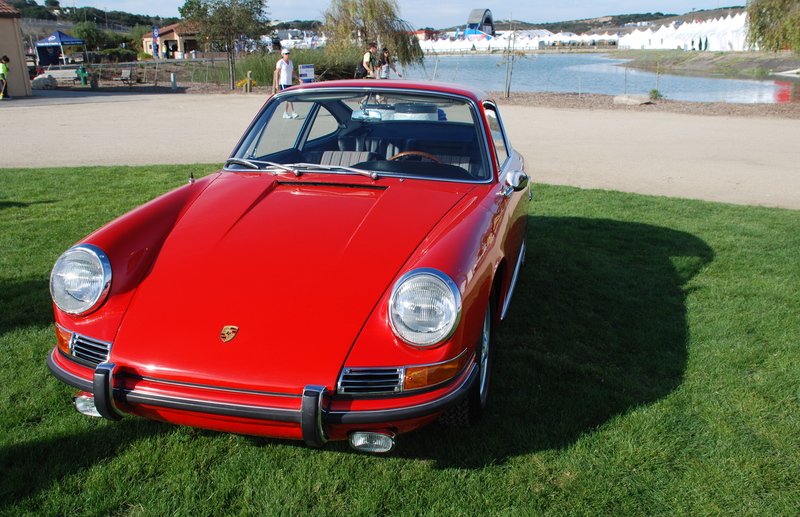 And my books of choice for studying and researching all things Porsche, have been the three-volume set written by Karl Ludvigsen; Excellence was Expected. 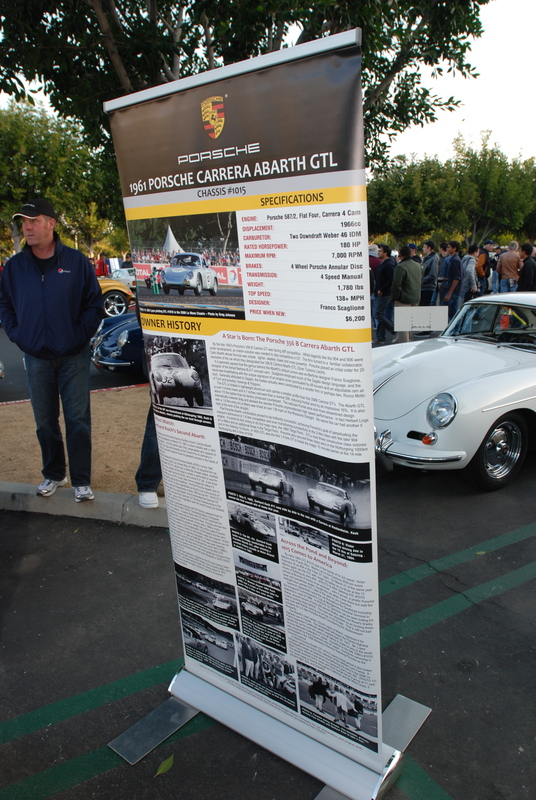 These book have proven invaluable for providing me with information, in addition to establishing a perspective and context regarding the history and significance to many of the Porsches I have been fortunate enough to see in person and photograph. 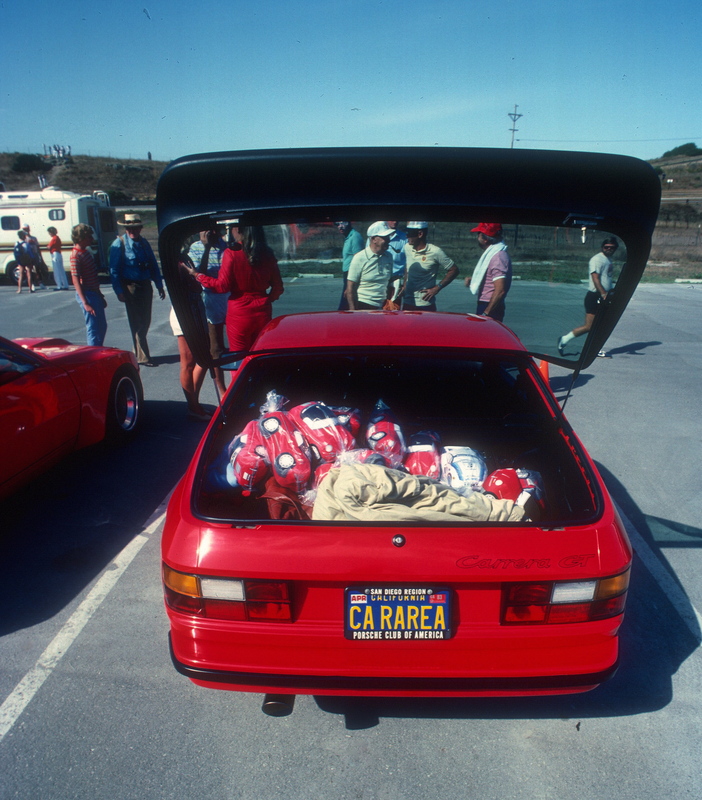 The second 924 to this pairing (as seen above), was a Carrera GT, complete with a trunk full of stuffed cars, and that possessed an interesting story. 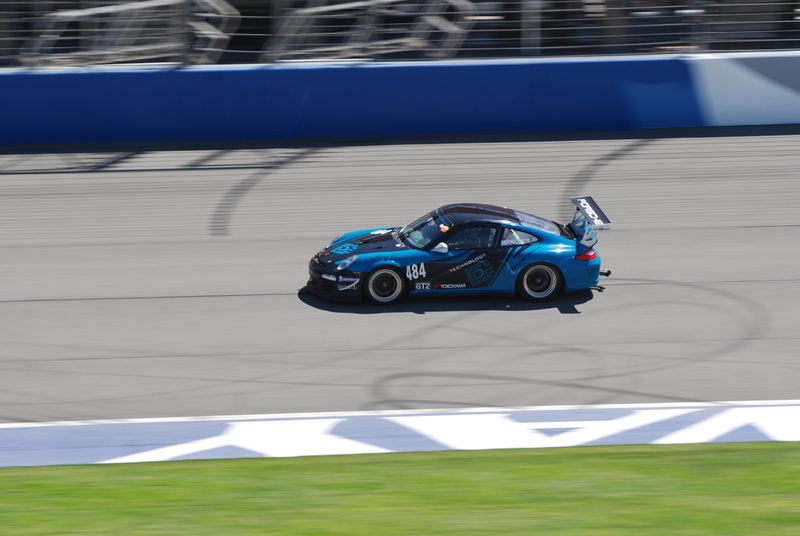 The owner of the car turned out to be none other than Southern California-based race driver Margie Smith-Haas, and who was also the owner /designer behind the company TFA (Toys for Adults). 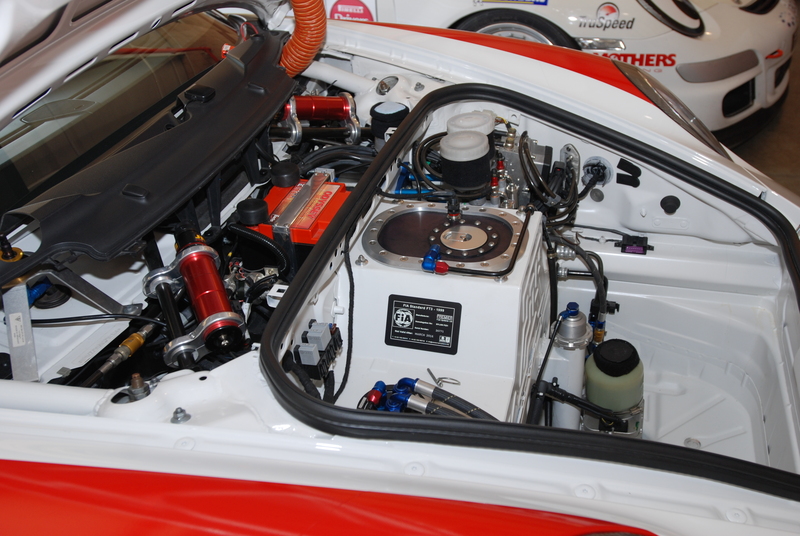 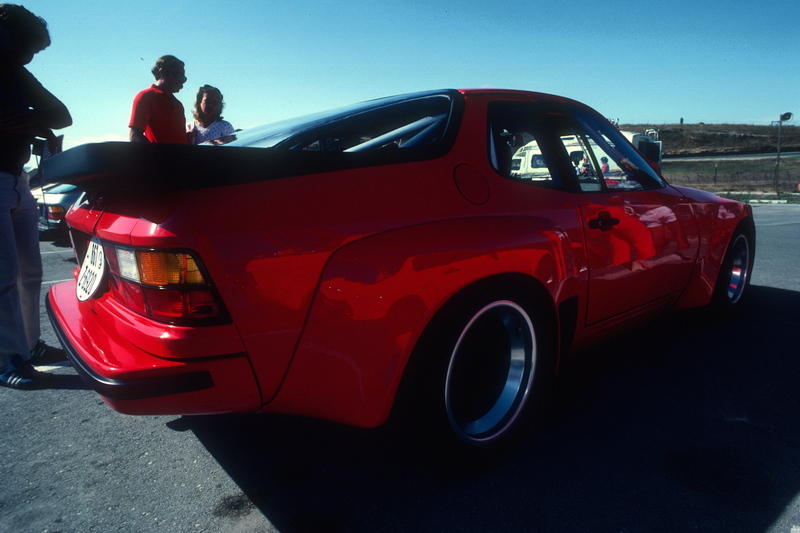 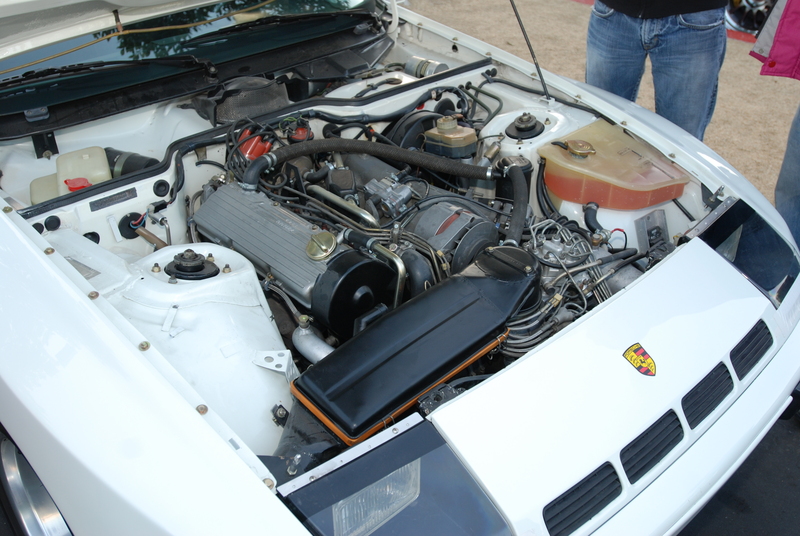 Their speciality was the design and manufacturing of the stuffed cars as seen in the 924’s trunk. 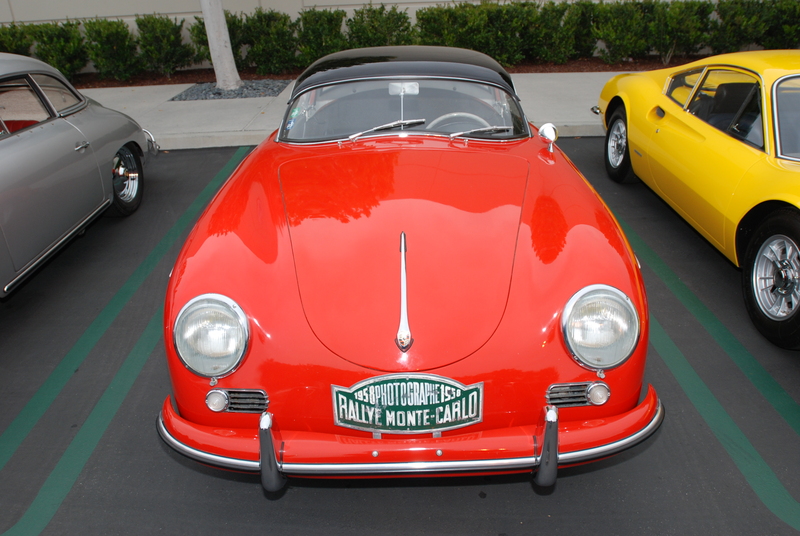 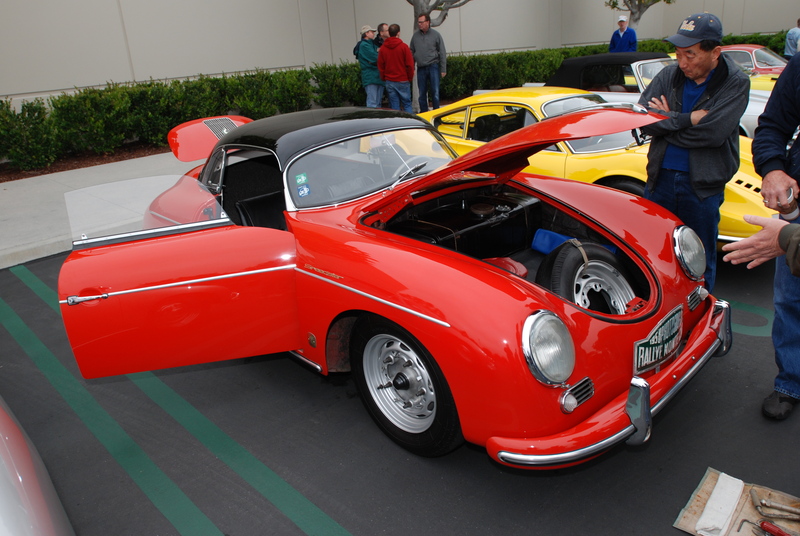 For this event, she was showcasing a variety of her firms Porsche offerings, but they also produced other makes of cars and various race cars of the day, all in a variety of different sizes and color. 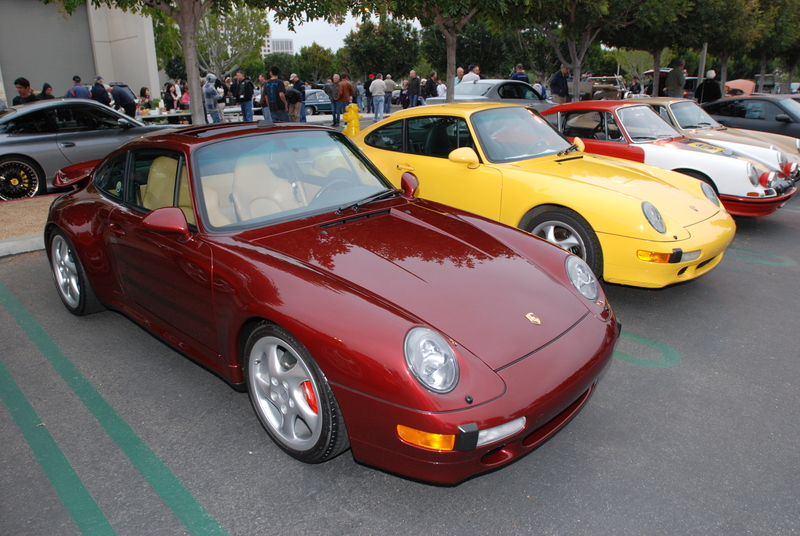 Shortly after, our household became the owners of two of Margie’s creations; one a stuffed, yellow Porsche 911, and a bit later for my son, a Rothmans Porsche 956. 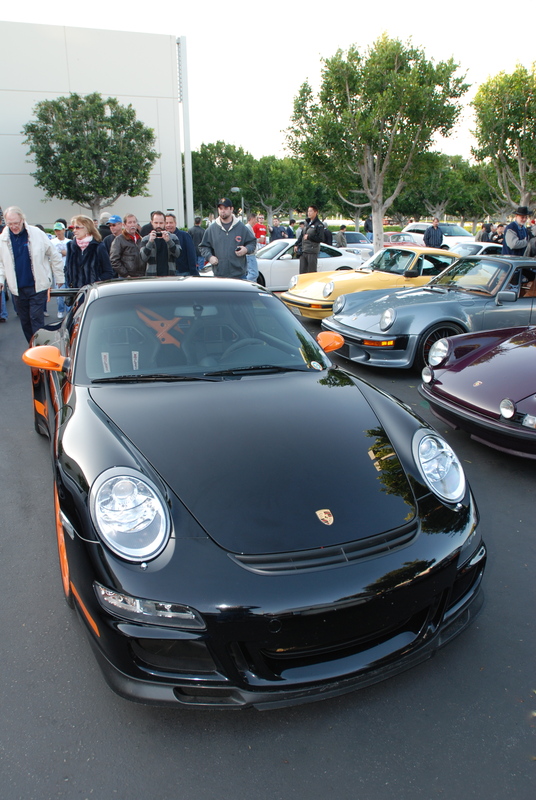 Saturday morning, April 7th saw the coming together of the Porsche faithful at Cars&Coffee/Irvine, as a tribute to the recent passing of Ferdinand Alexander (Butzi) Porsche. 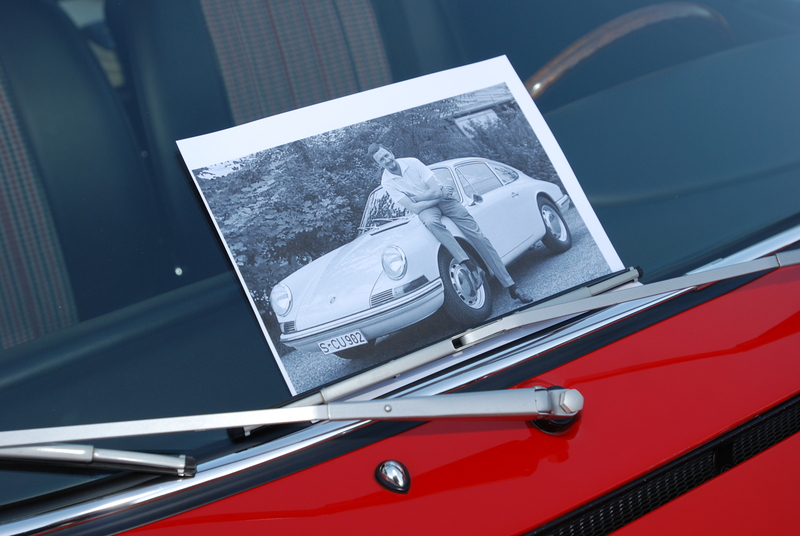 An email was circulated on Friday April 6, and forwarded to many within the Porsche community about a plan to pay tribute to and honor the memory of F.A.”Butzi” Porsche. 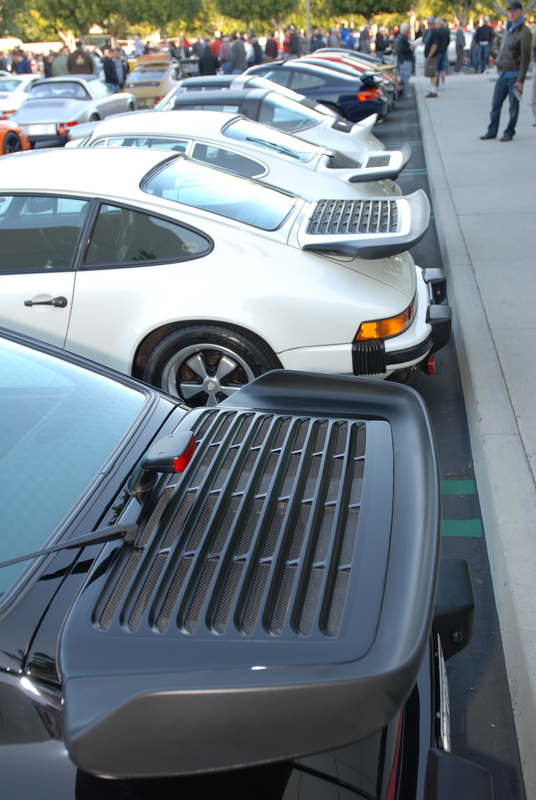 The intent was to gather up as many Porsche 911’s as possible, to represent the model range from 1965 up to the latest 2012 iteration. 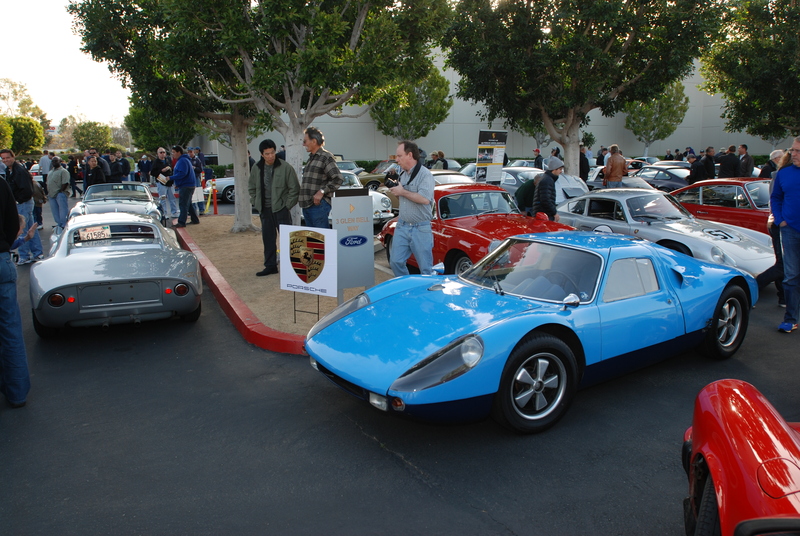 Also hoped for was participation by any of the local Porsche 904 owners. 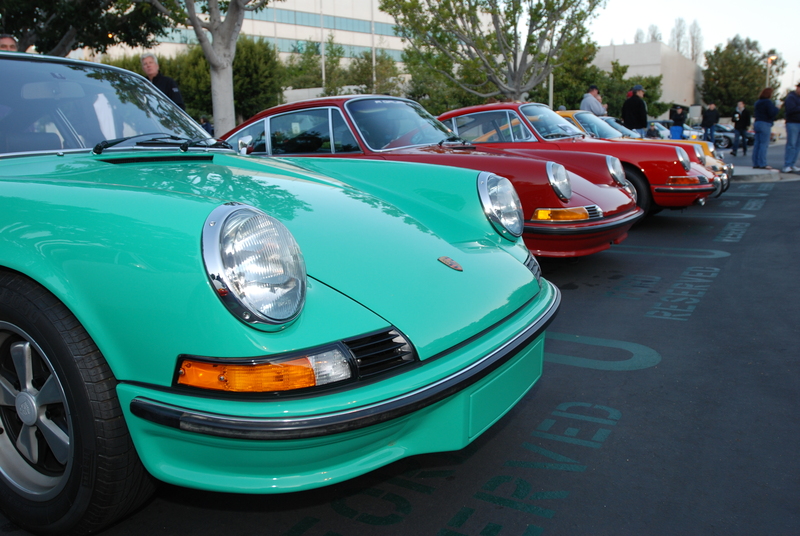 The destination Saturday morning would be the “featured” parking lot area at Cars&Coffee. 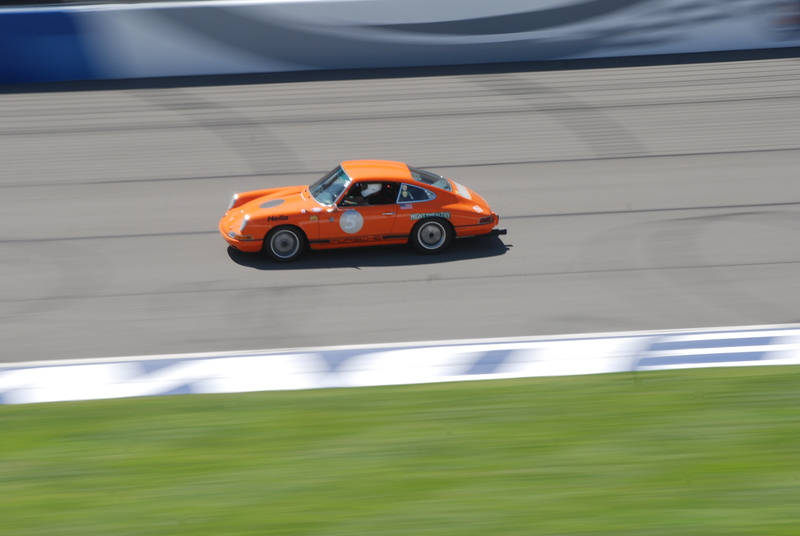 To further this cause, I forwarded the email to my friends Gene and Dave, both owners of Porsche 930 turbos, in hope of their participation come Saturday morning. 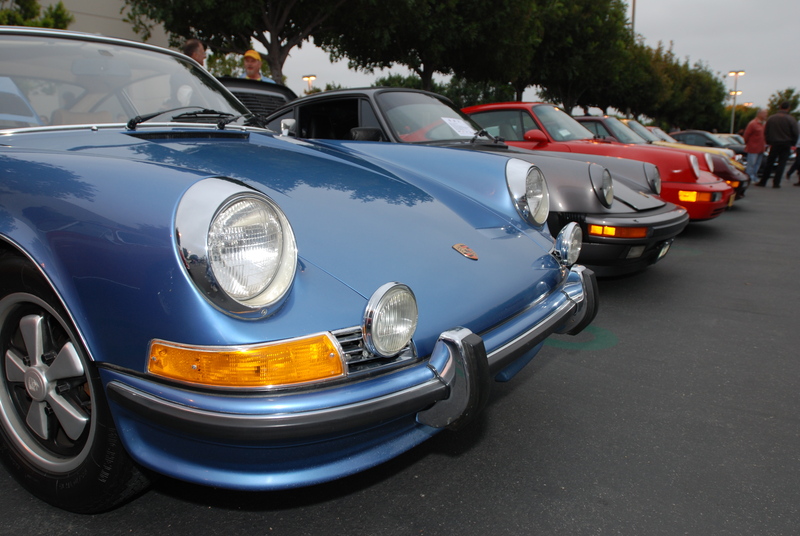 Several other rare and unique Porsche models were also represented Saturday morning, and ironically were each parked in close proximity to one another. 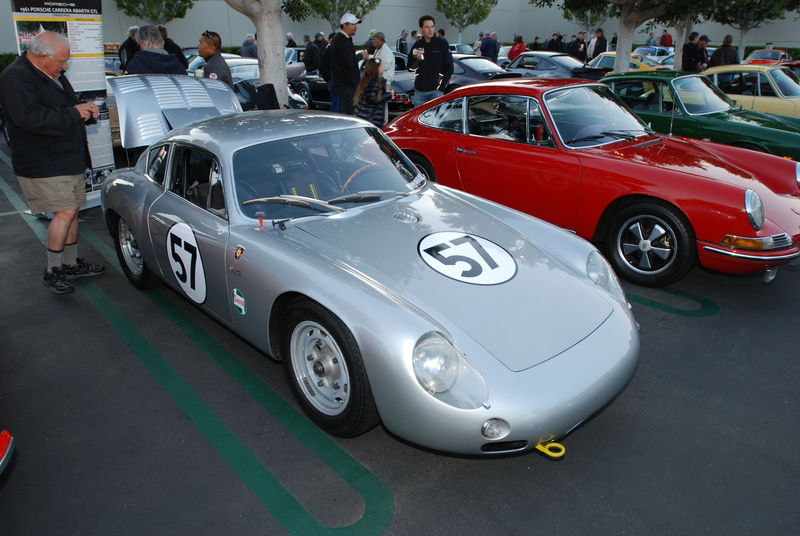 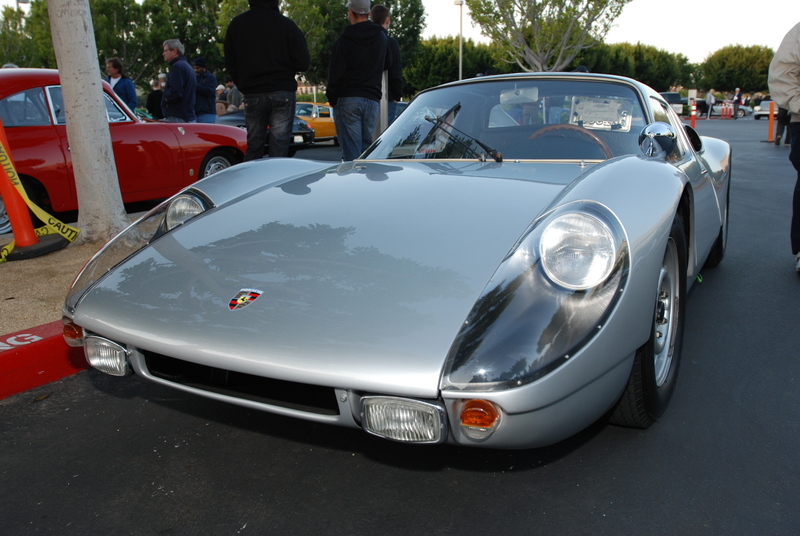 The second model was a silver,1961 Porsche Carrera Abarth GTL (shown below), also sporting a 4 cam motor, and backed by a freestanding display that chronicled the cars racing history. 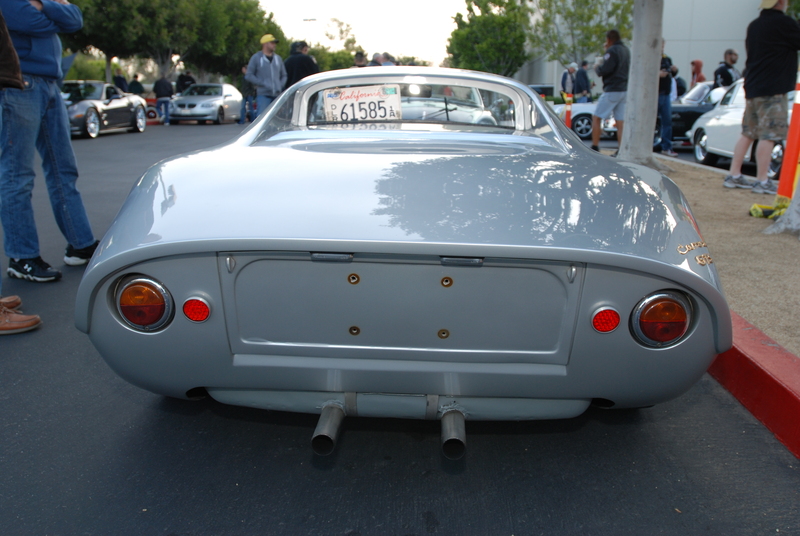 This particular Abarth GTL is another example of a very rare Porsche, being part of the initial, limited production run of 21 GTL’s from back in 1960. 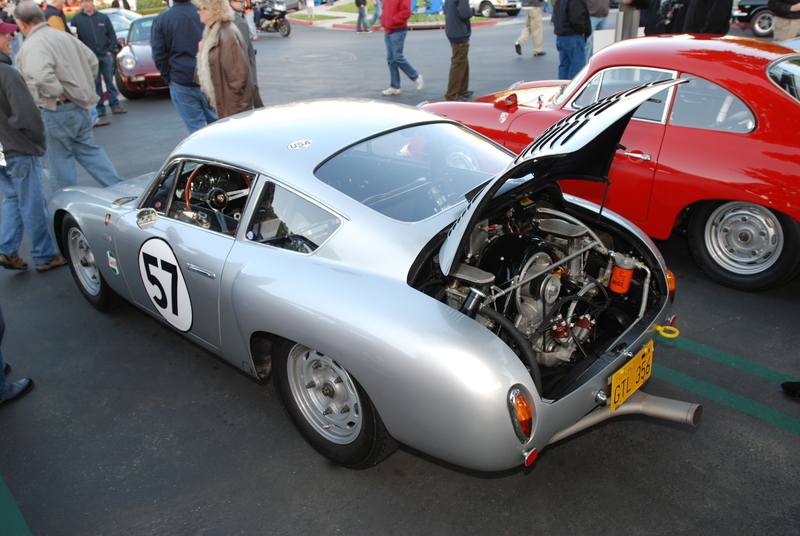 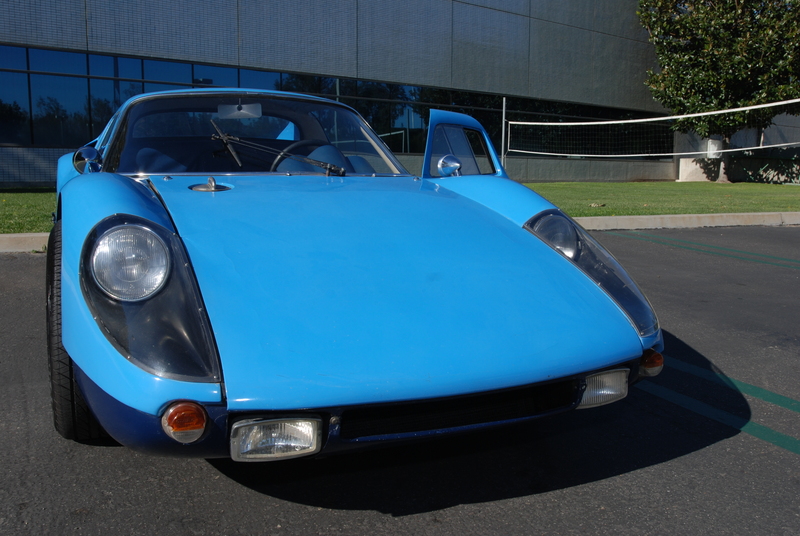 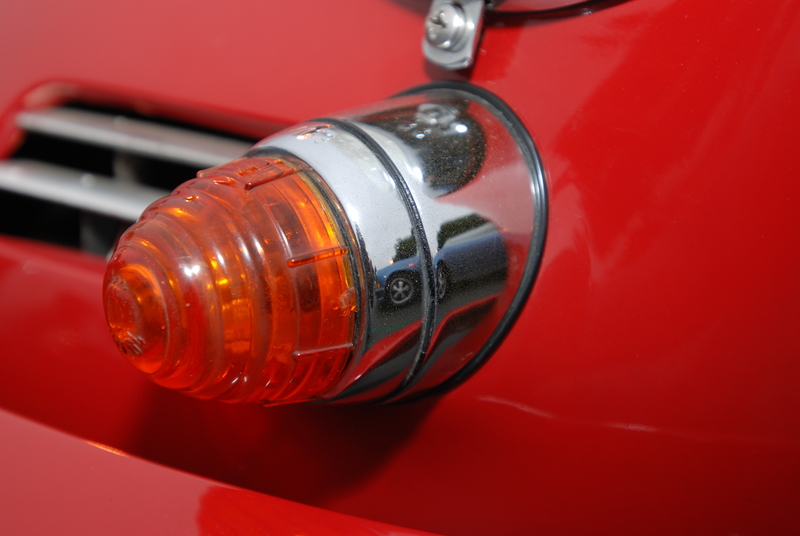 This particular car (serial #1015), was the fifteenth of only 21 produced during that time frame. 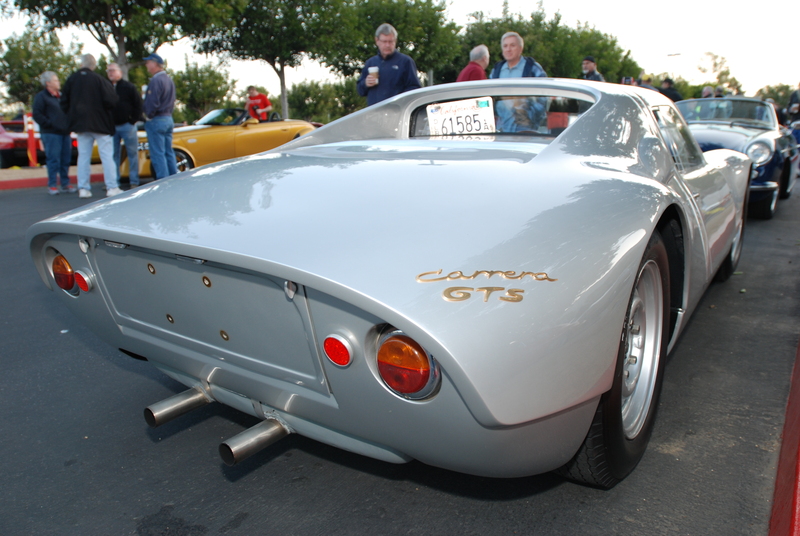 This particular car, a 1964 904 Carrera GTS, serial # 904-002 (of which I have written about previously), is not only historically significant because of its status as one of the surviving pre-production prototype models created, but also because of the unique design features unique to this car only. 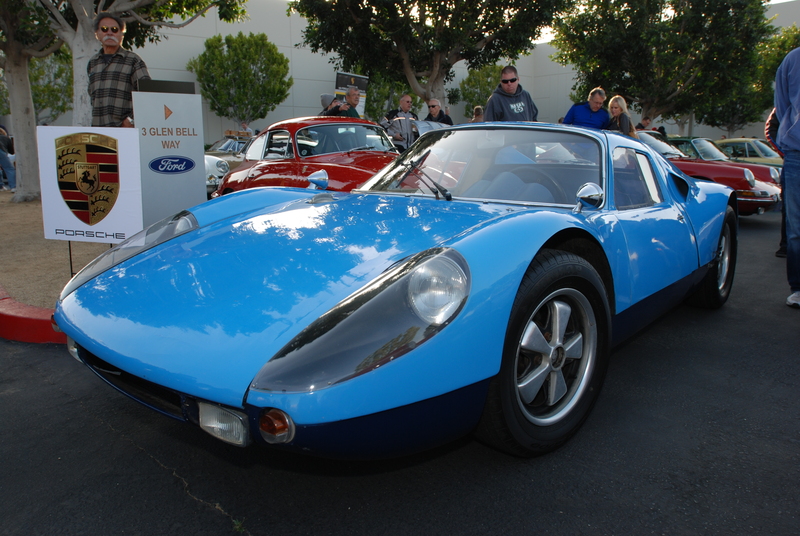 And no less important is the fact that this is the single 904 Carrera GTS to have been owned and routinely driven by the designer himself (Ferdinand Alexander “Butzi” Porsche). 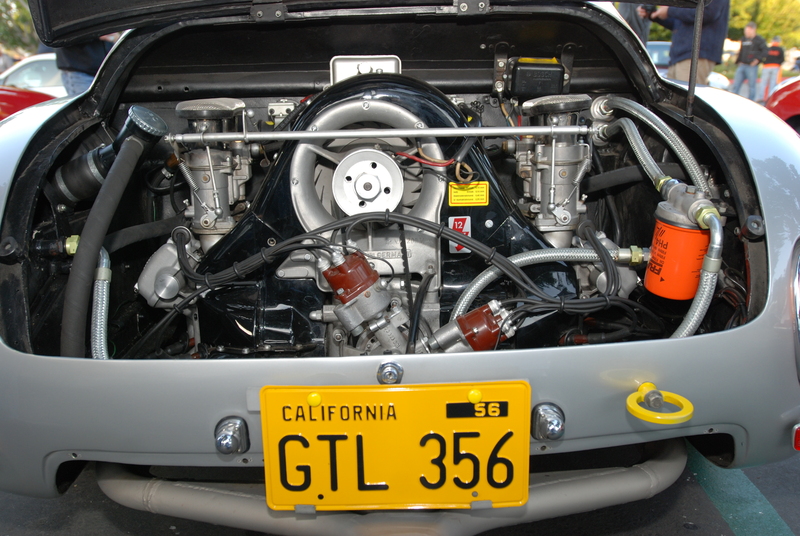 Thus the personalized California license plate that adorns the rear of the car; a clue to the cars historic significance, and reference to the identity of 904-002’s original owner. 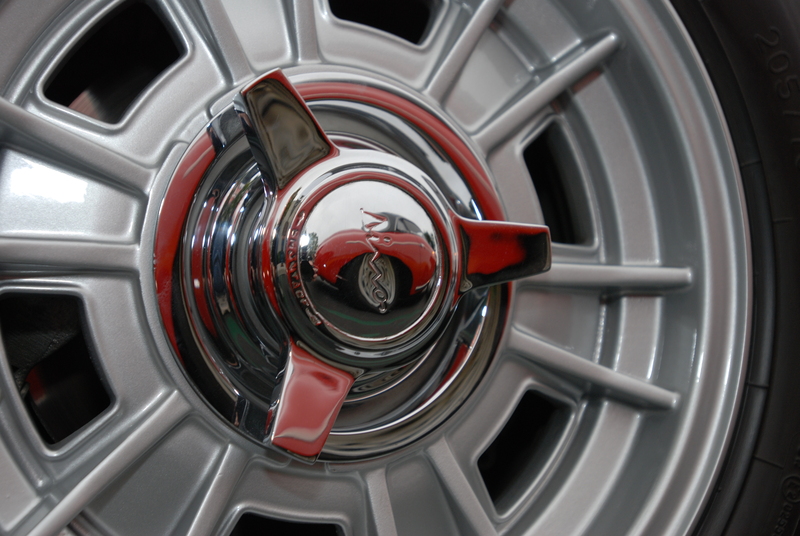 Saturday morning, March 31 once again dawned cool, gray and damp. 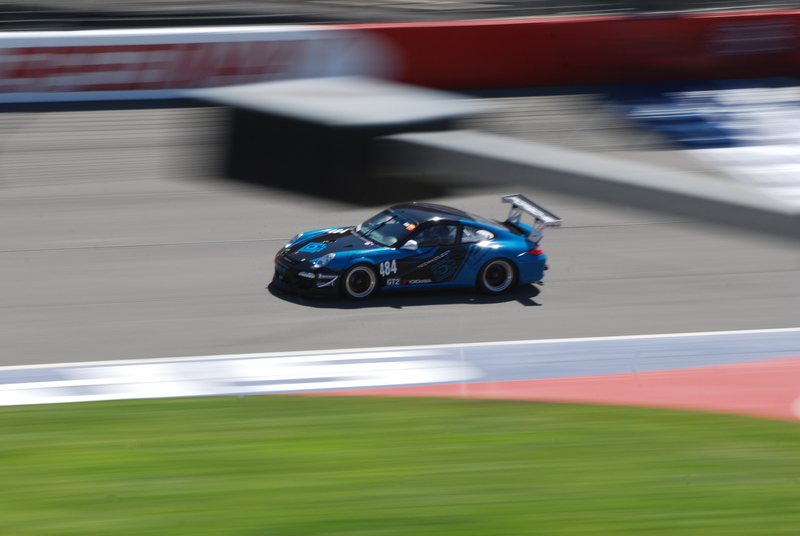 So much for spring weather here in Southern California… and for the past several weeks, we have been witness to storm fronts blowing in, just as the weekend was coming into view. 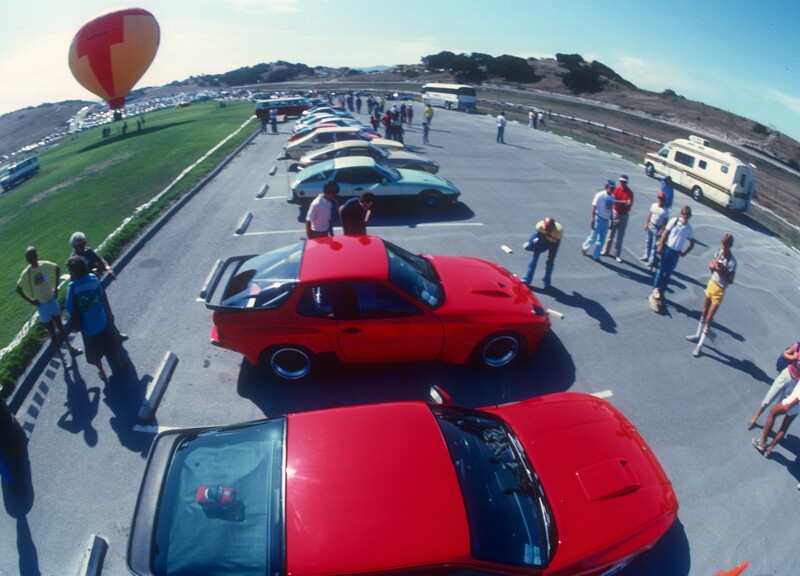 Lately, my Friday evenings have been spent watching the 11PM news, to see what possible surprises Mother Nature has planned that could negatively impact Saturday morning’s Cars&Coffee event. 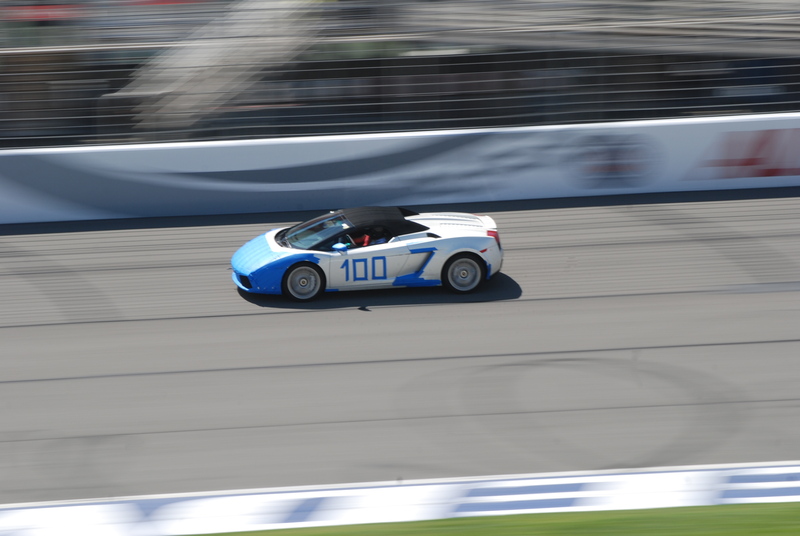 And this past Saturday was no exception. 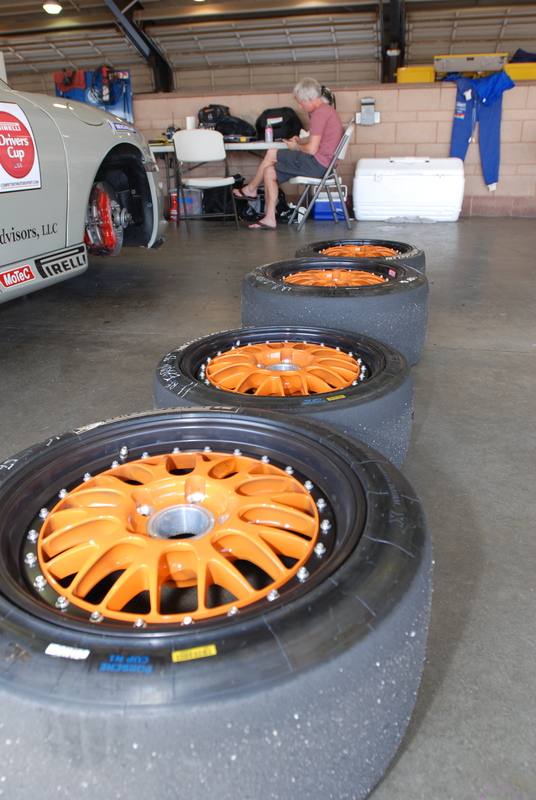 However instead of rain, we were treated to sporadic, light drizzle. 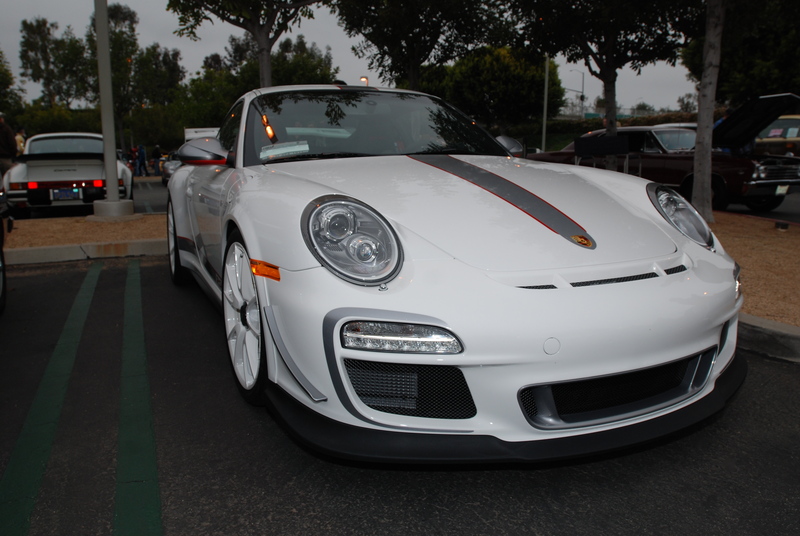 Just enough to mess with a freshly detailed car… My first encounter with the drizzle was while heading down to connect up with the southbound 5 freeway. 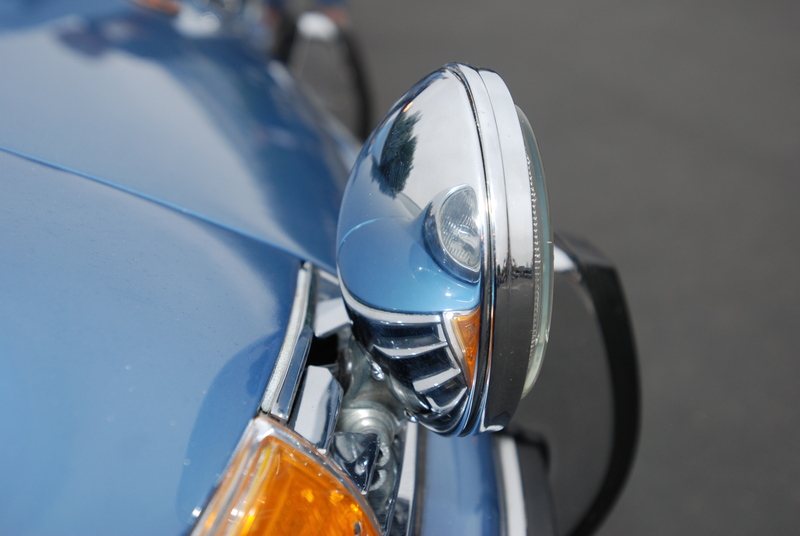 I was definitely becoming concerned, especially with each new pocket of drizzle that I encountered. 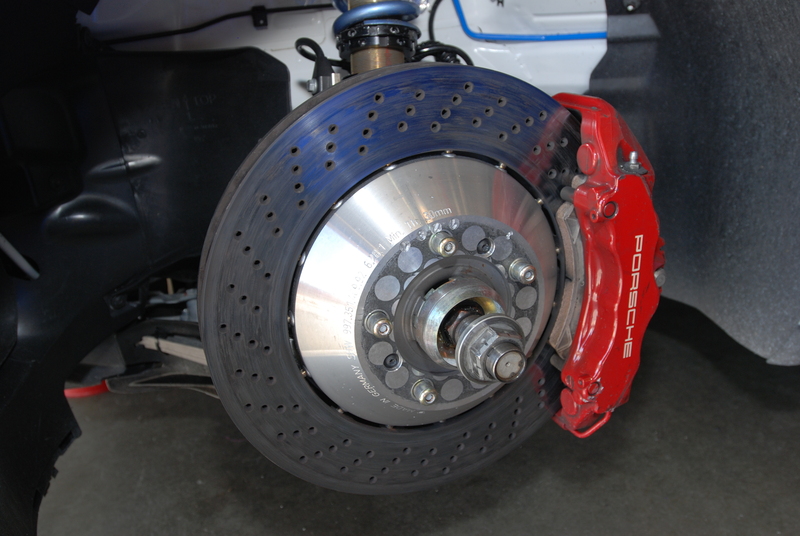 Luckily, the further south I drove, the drier it became. 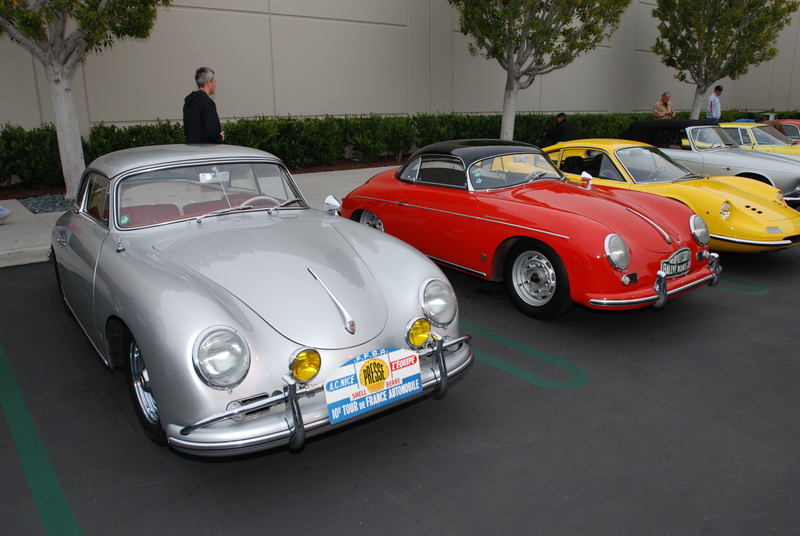 By the time I arrived in Irvine, there were low, gray clouds everywhere, but no rain. 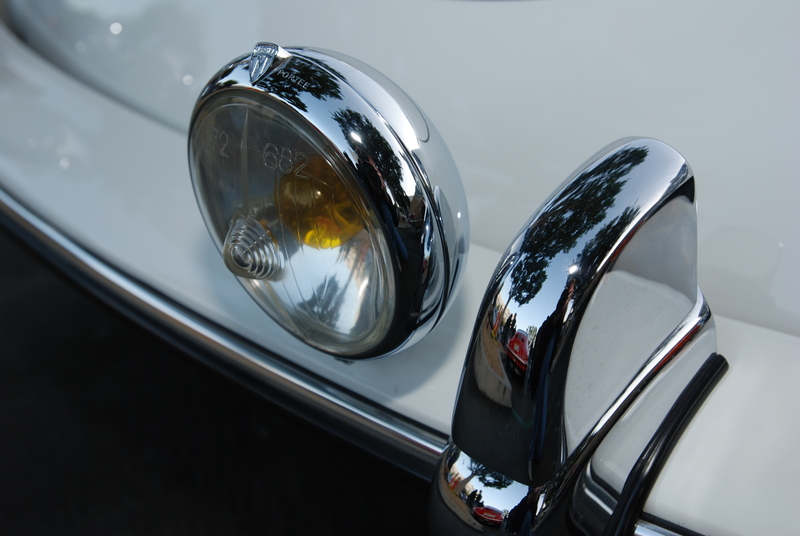 And gauging by the number of cars already present at 6AM, there were a lot of other drivers with similar hopes for a dry morning. 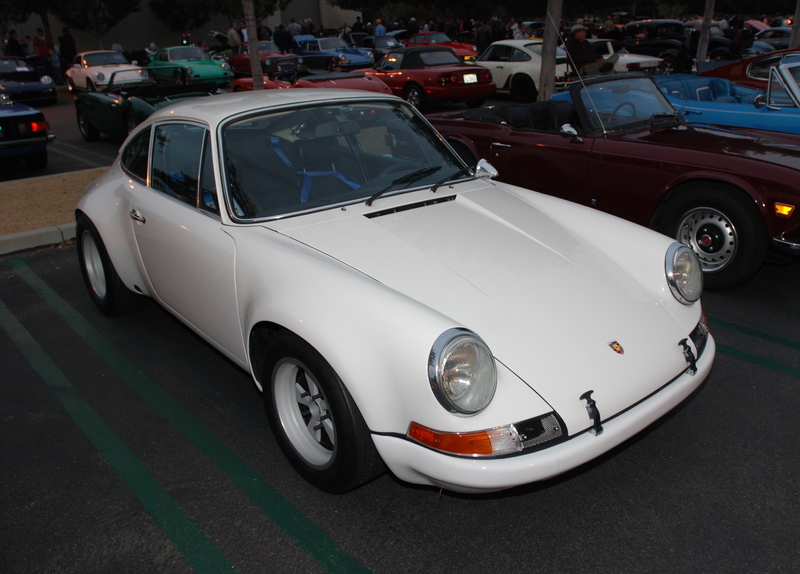 While I was assembling my camera gear for the mornings shoot, I noticed what appeared to be an early 1970’s vintage, white Porsche 911 make its way up the nearby parking row, and come to a stop one row over behind where I was parked, faced towards me. 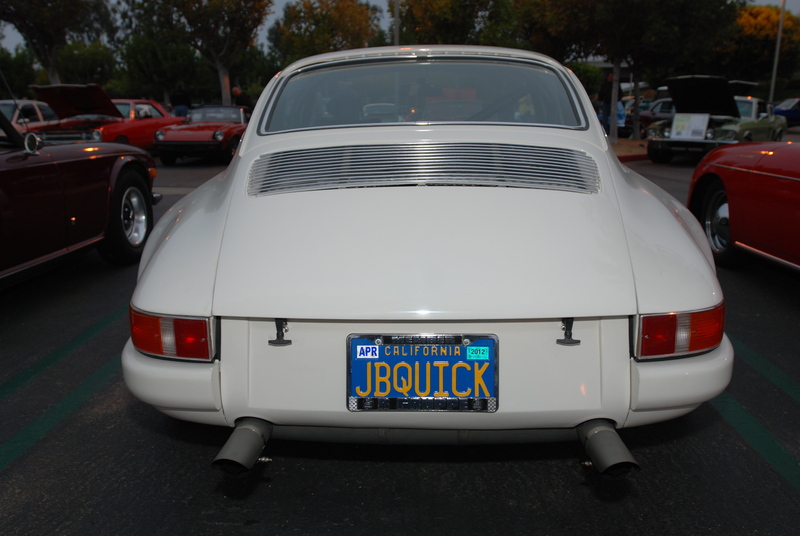 From the sound of the exhaust, it was apparent he was running a modified exhaust system on a healthy sounding motor. 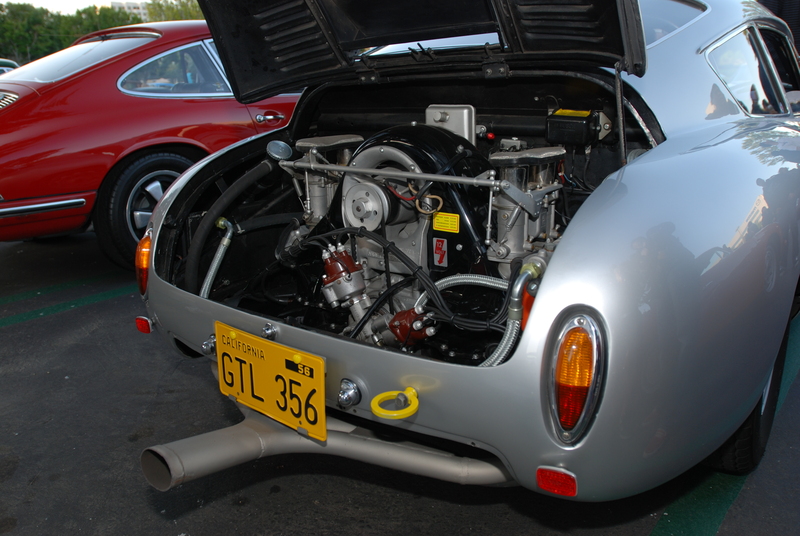 After shutting off the motor, the driver exited, locked his car and disappeared into the crowd. 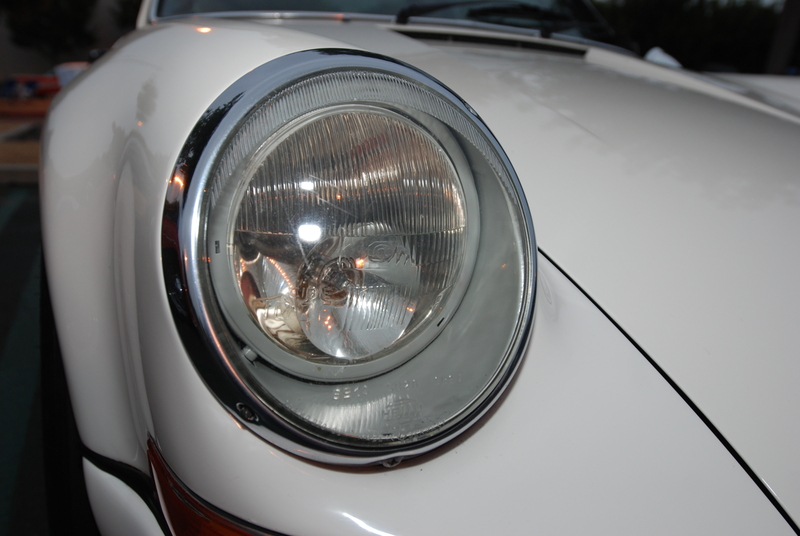 The glowing white visage was enough to get my attention, so I headed over for a closer look. 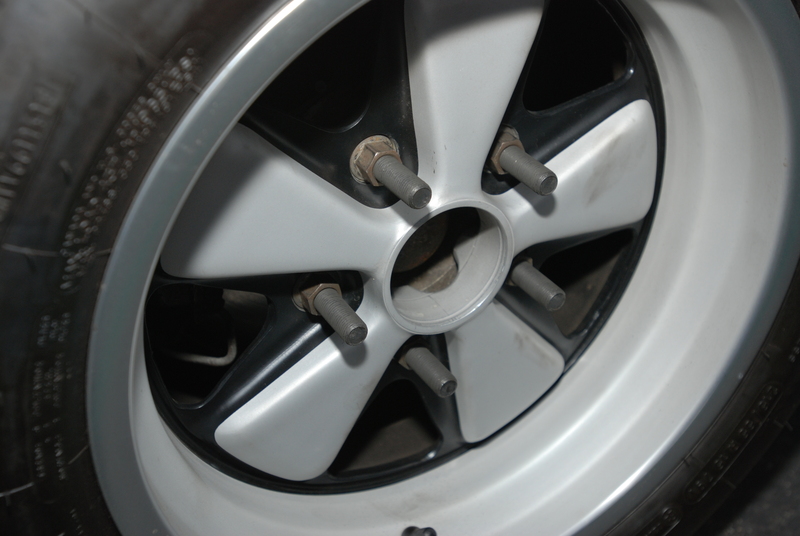 Even the fuch wheels (front and rear) received the race prepped treatment: long wheel studs with steel lug nuts, to securely anchor each wheel in place. 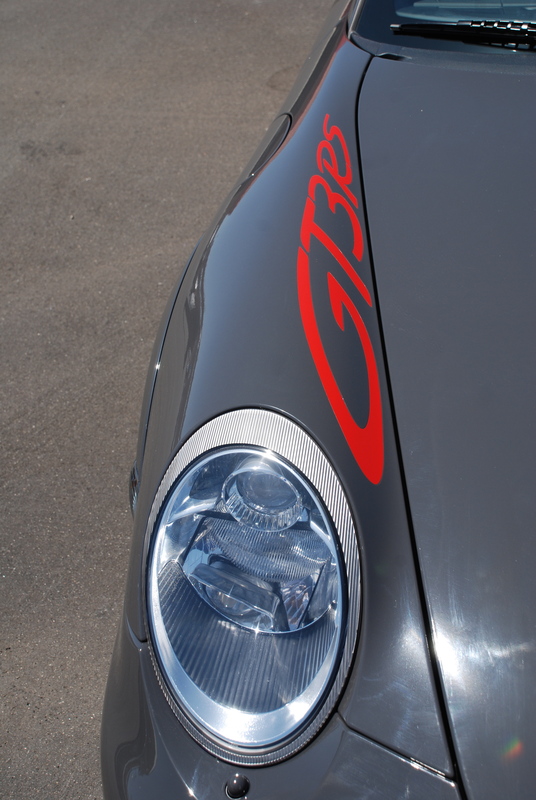 This is only the third Porsche 911 that I have ever seen fitted with a set of the rare Cibie Biode headlights ( as shown above). 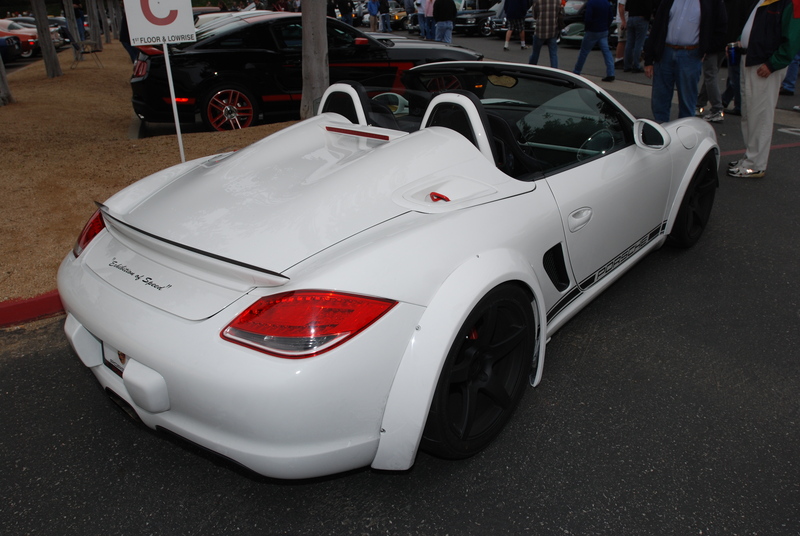 …a white Boxster Spyder to be precise, complete with Porsche 934 styled rear fender flares, GT3 RS4.0 fender flares up front, and a GT2 RS inspired front hood. 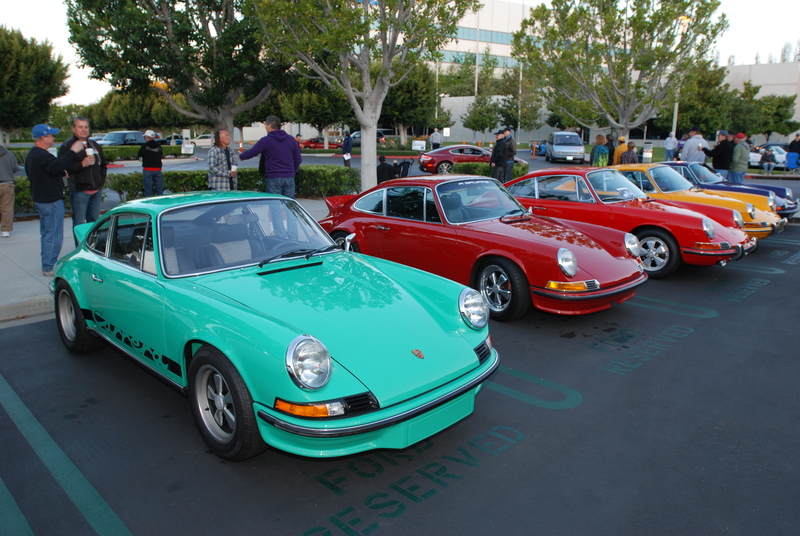 And parked several rows over, back on Porsche Row, was this beautifully restored, green 1973 Porsche 911 Carrera RS (as seen below). 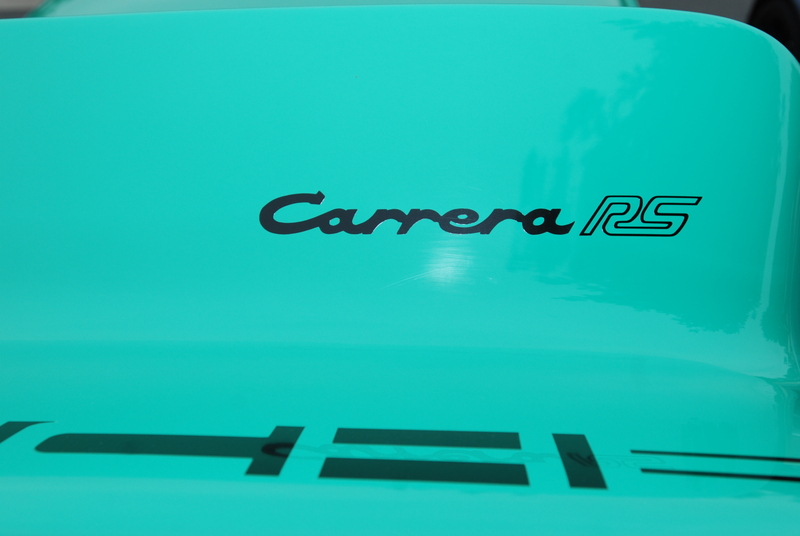 And yes, it is a REAL 911 Carrera RS (# 280), and not a clone. 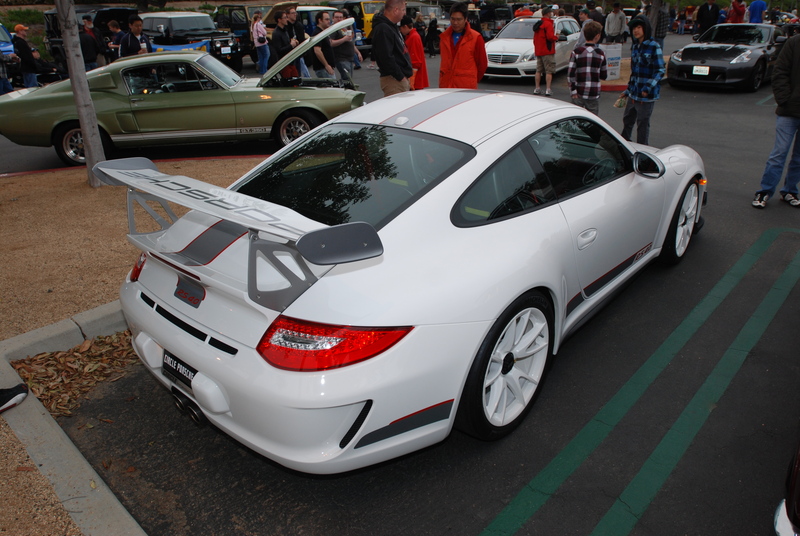 It was while I was walking back to have another look at the red Speedster, that I saw this white 2011 GT3 RS4.0 parked at the end of the aisle. 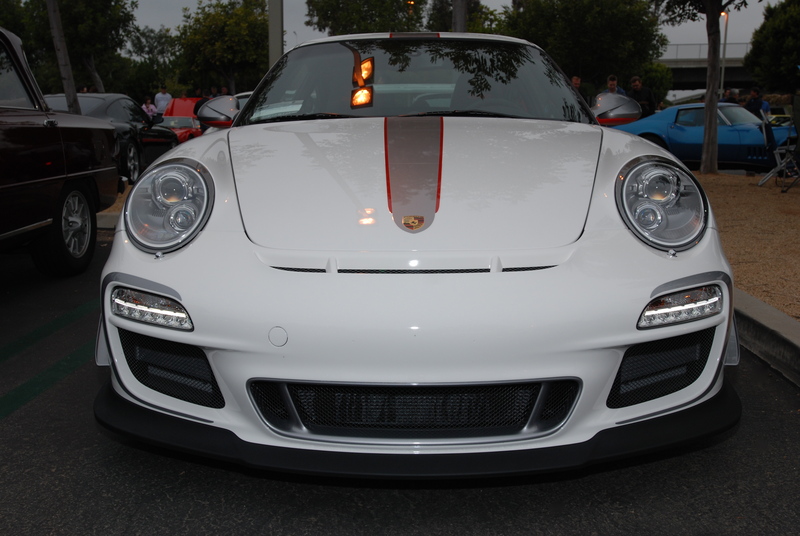 After noticing the red-painted headlight washers, I realized this was a car new to Cars&Coffee, and one that I had not seen before. 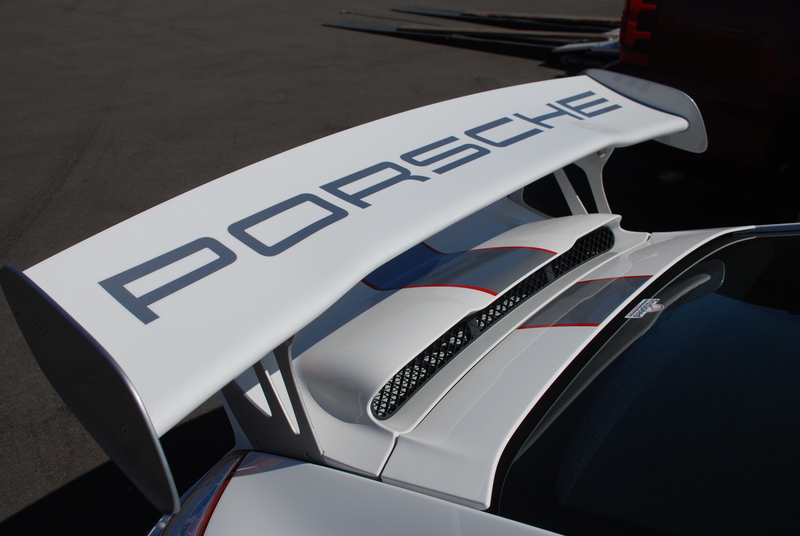 A BRAND NEW SIGHTING, making this the 9th car to be added to my GT3 RS4.0 sighting list…! 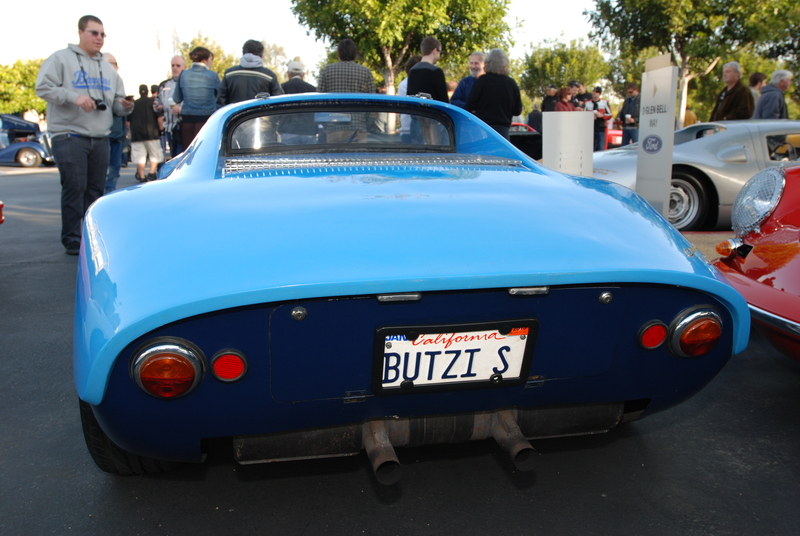 Knowing that the dash mounted plaque would reveal this cars series number, I walked over to the passenger side, and peering through the open window, saw that this car was # 222 of 600. 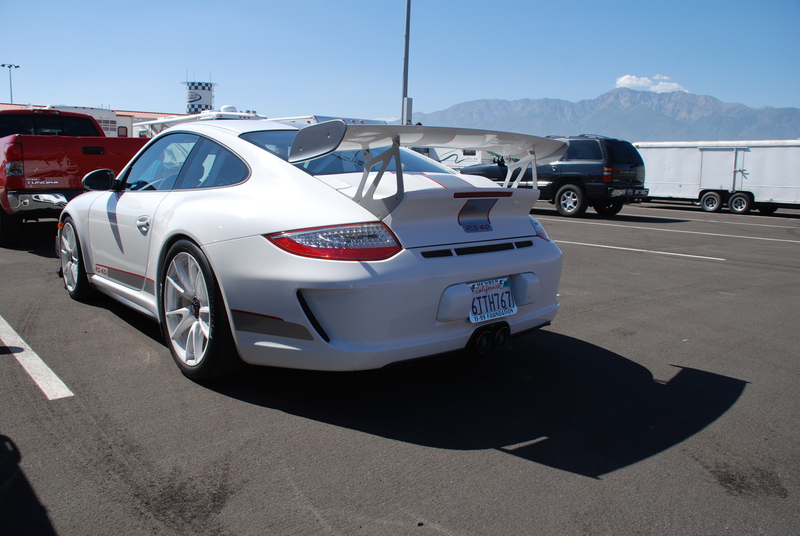 I suddenly realized that this was A BRAND NEW SIGHTING, making this the 9th car to be added to my GT3 RS4.0 sightings list ! 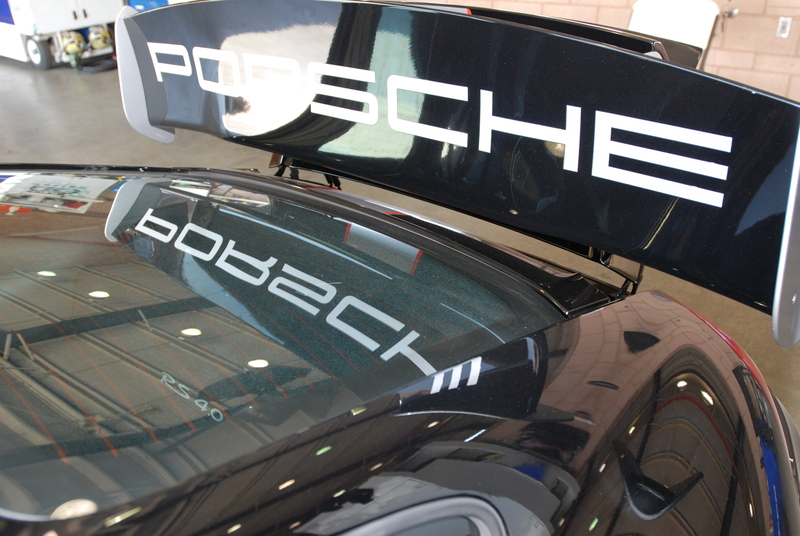 It was with great sadness that I read the news today announcing the passing of Ferdinand Alexander Porsche. 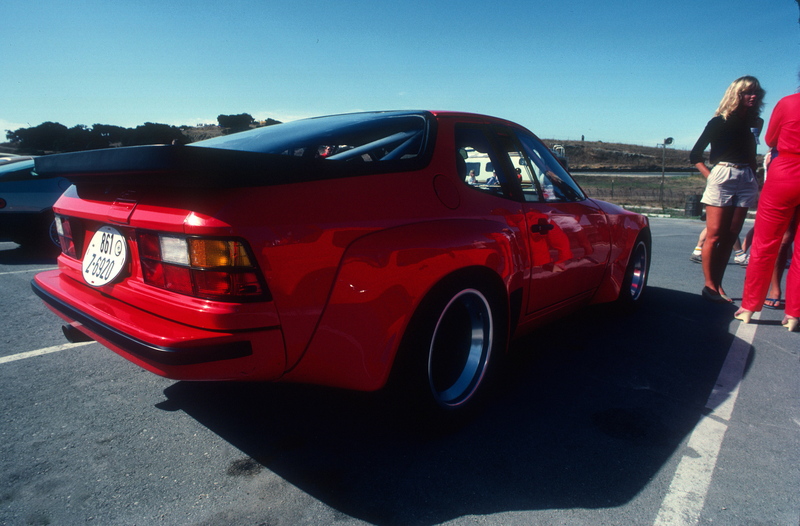 His passing is not only a terrible loss for the Porsche family, but a sad day for the global Automotive and Design community. 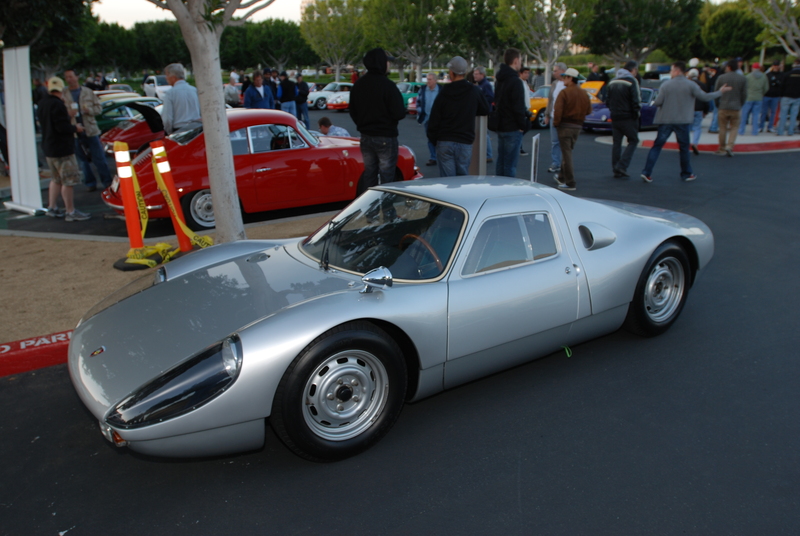 His automotive design and styling influences will be forever linked to the company founded by his grandfather and father, and by two of his penned automotive masterpieces; the iconic Porsche 911, and shortly after, the fiberglass bodied 904 Carrera GTS as seen below. 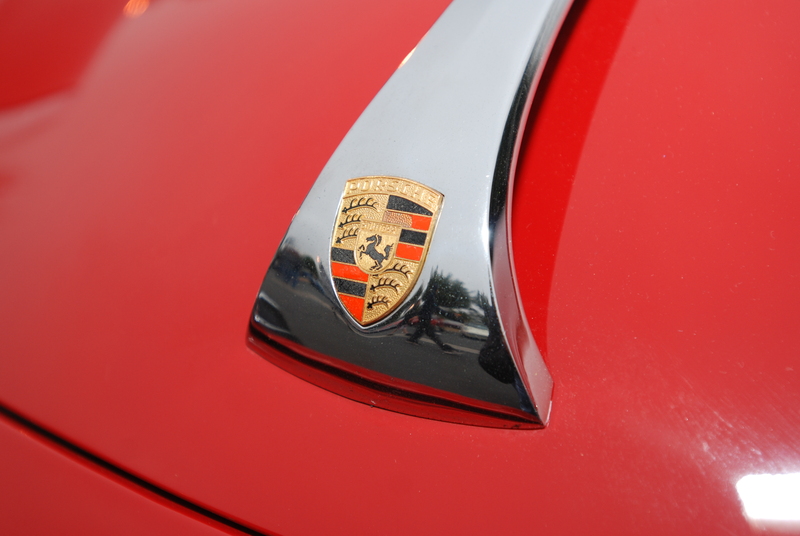 Then in 1972, Ferdinand Alexander Porsche shifted his design focus, and created the product design firm that came to be known as Porsche Design. 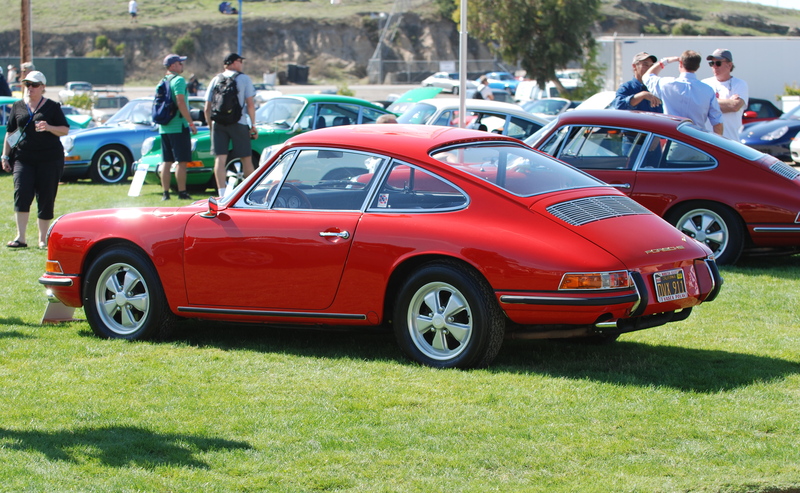 His innovative designs for the satin black, chronograph watch with a face inspired by the gauges found within the 911, and the satin black framed, aviator style sunglasses with interchangeable lenses, both went on to become instant classics, and established Porsche Design as a force to be reckoned with. 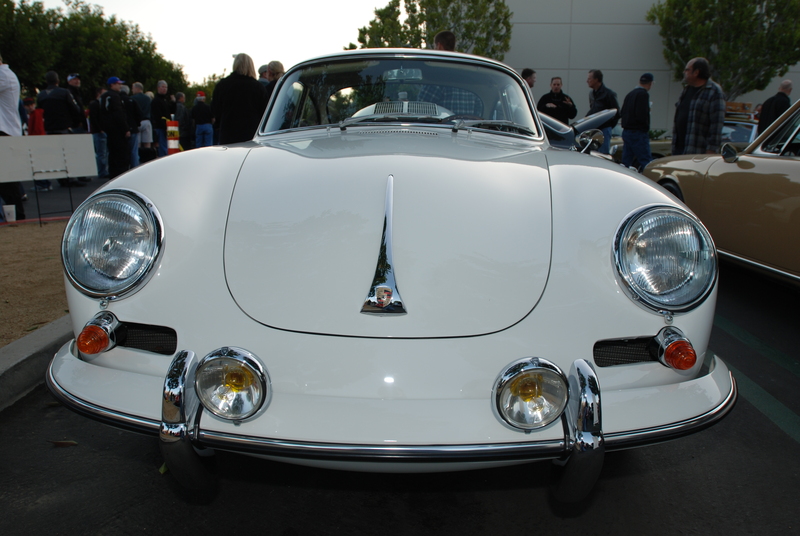 As a testament to his sense of design and creative vision, the original Porsche Design chronograph has become a highly sought after collectible watch, and their aviator styled sunglasses are still being produced to this day.